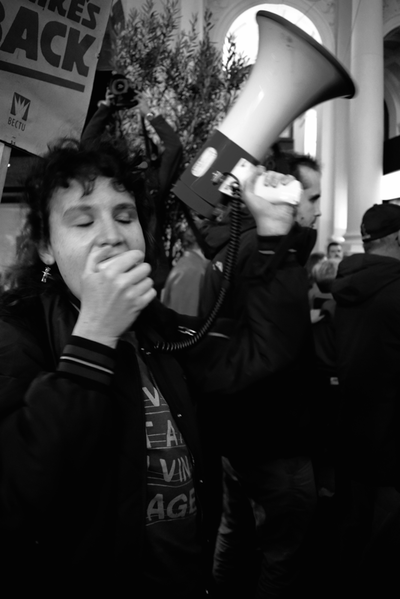 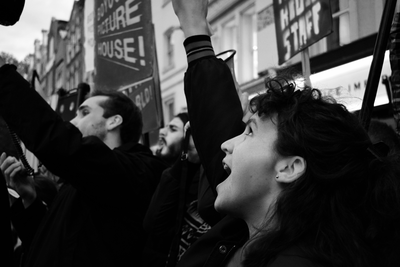 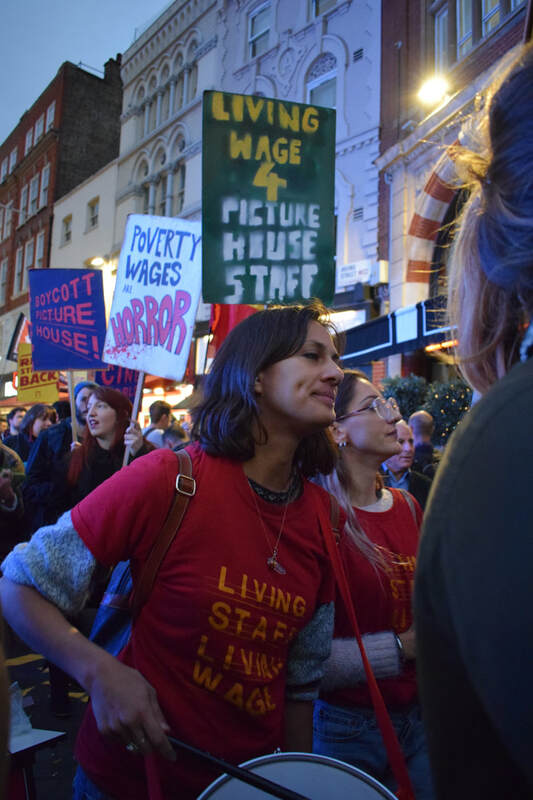 ​Employees at Picturehouse Cinemas are arguing that every worker deserves a living wage and has the right to representation by a union of their choice. Picturehouse Cinemas should pay the living wage to their staff and recognise their chosen union, the BECTU sector of Prospect. 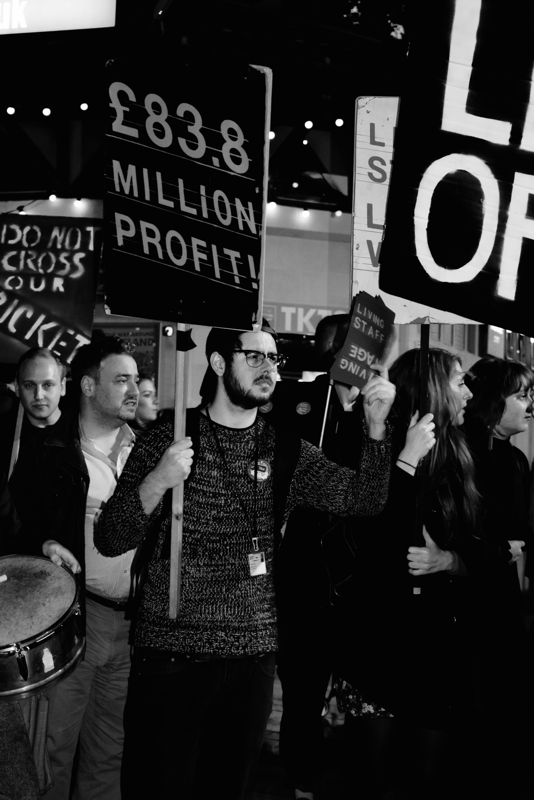 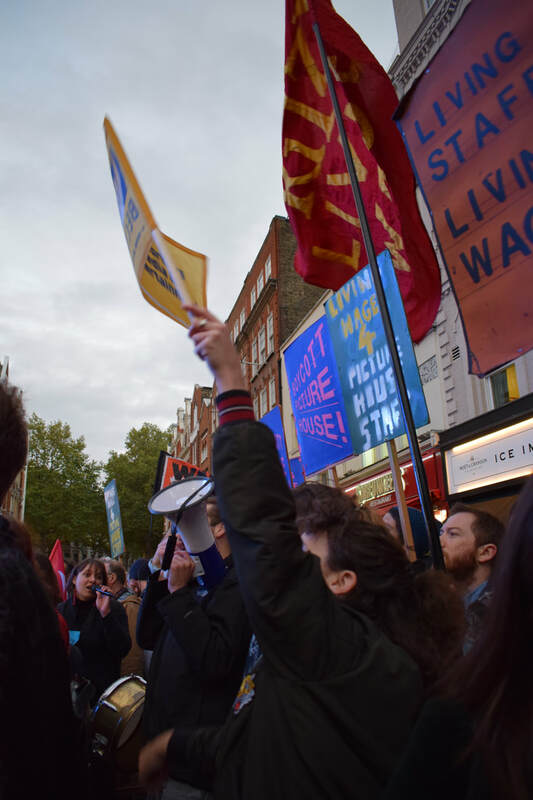 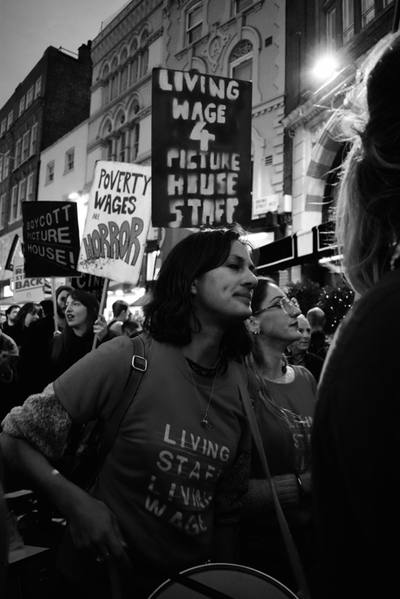 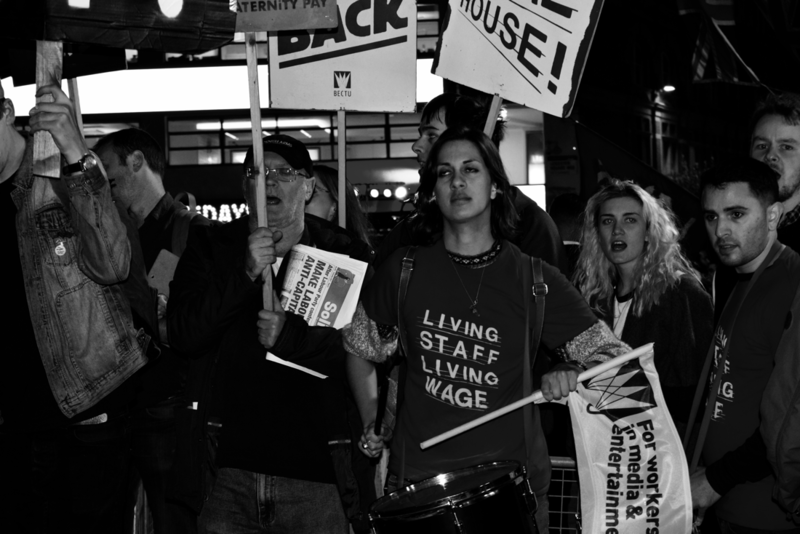 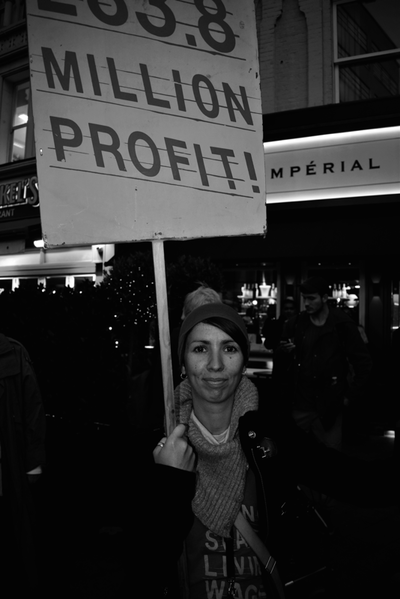 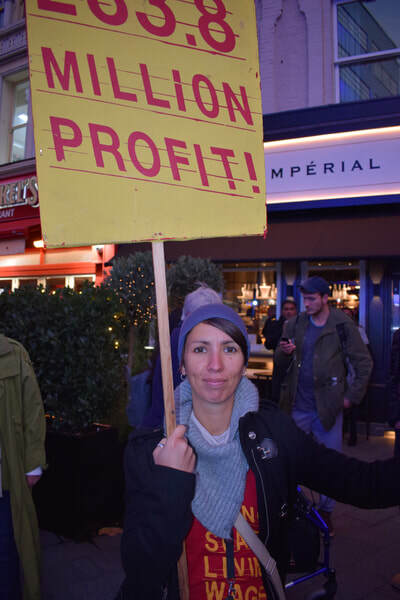 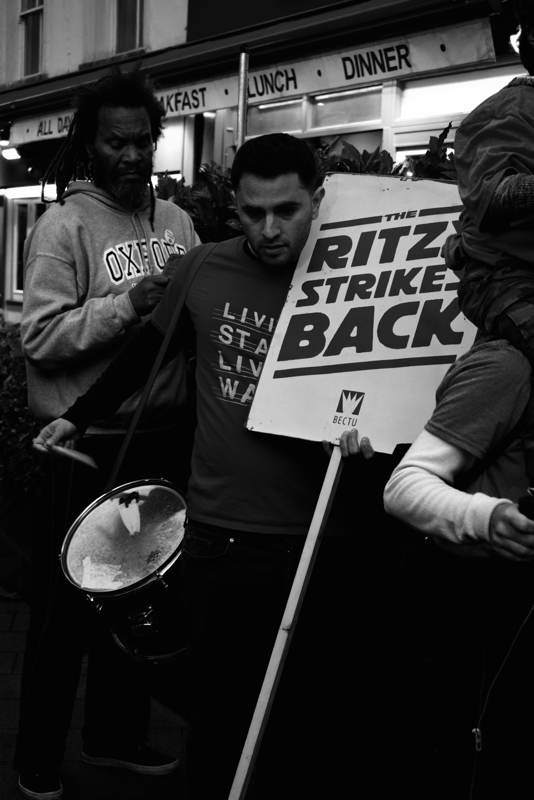 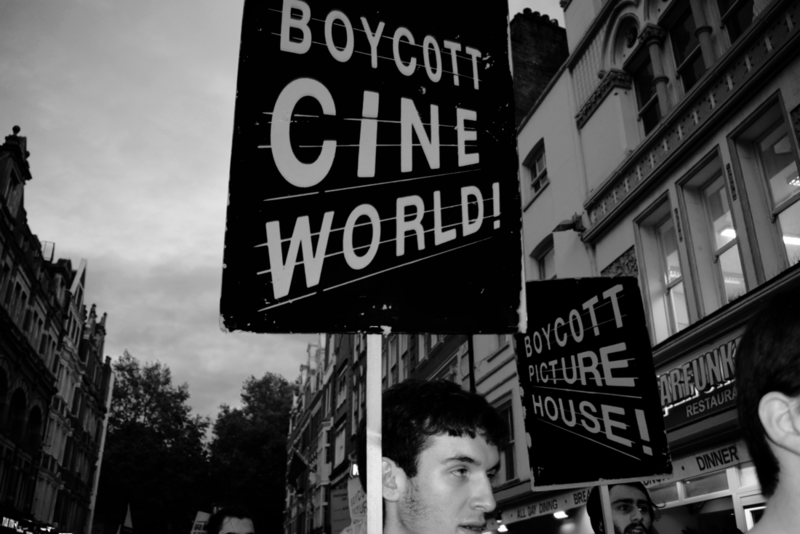 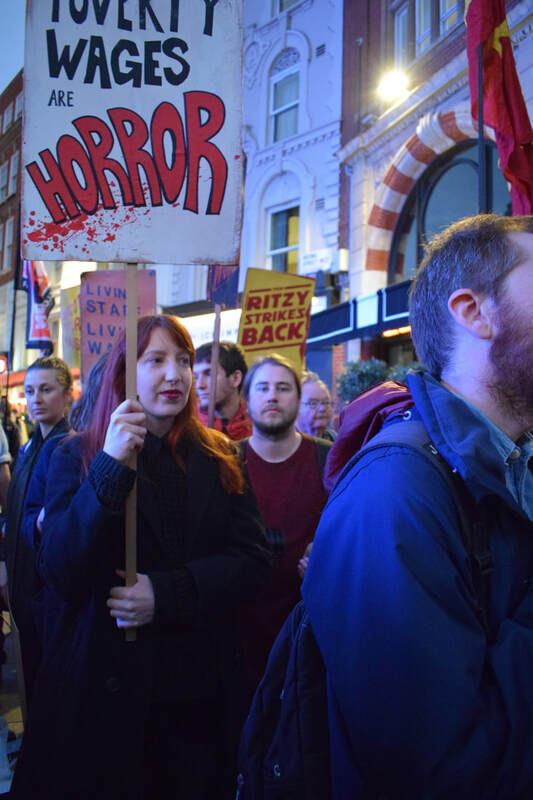 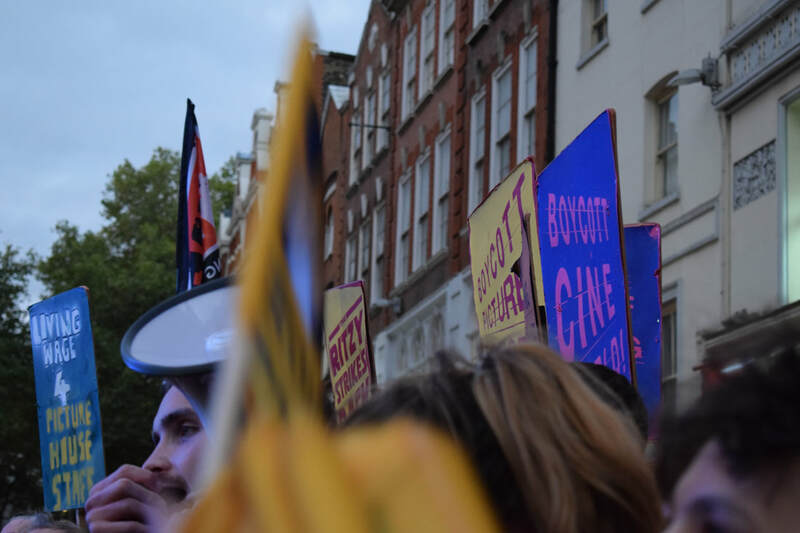 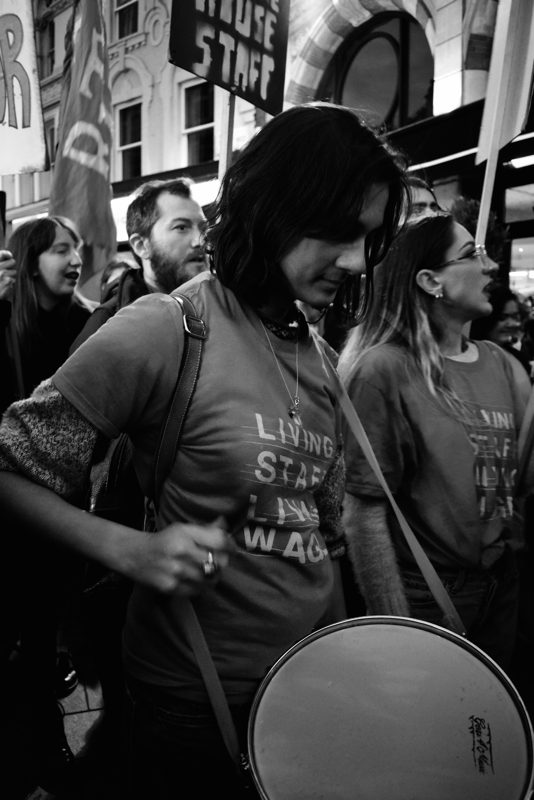 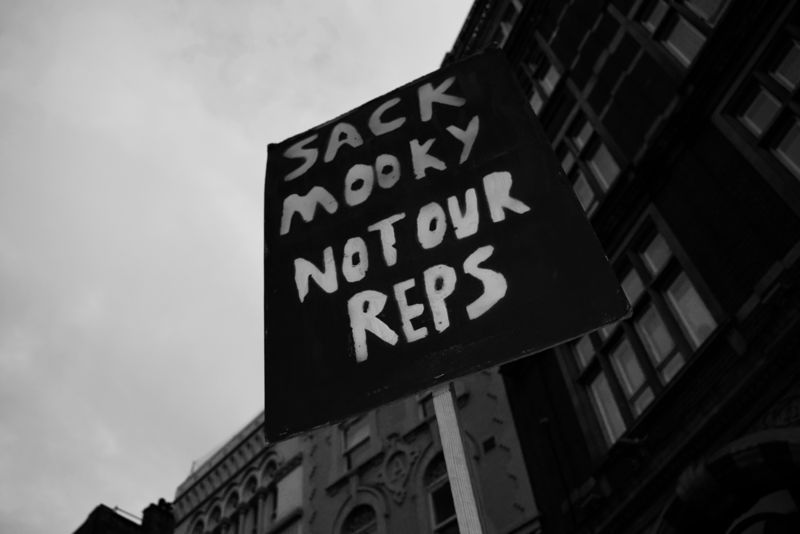 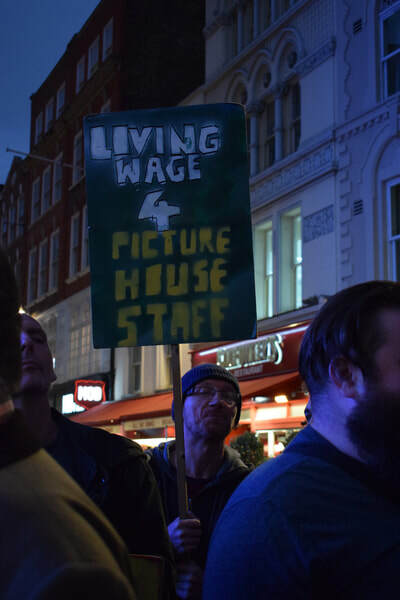 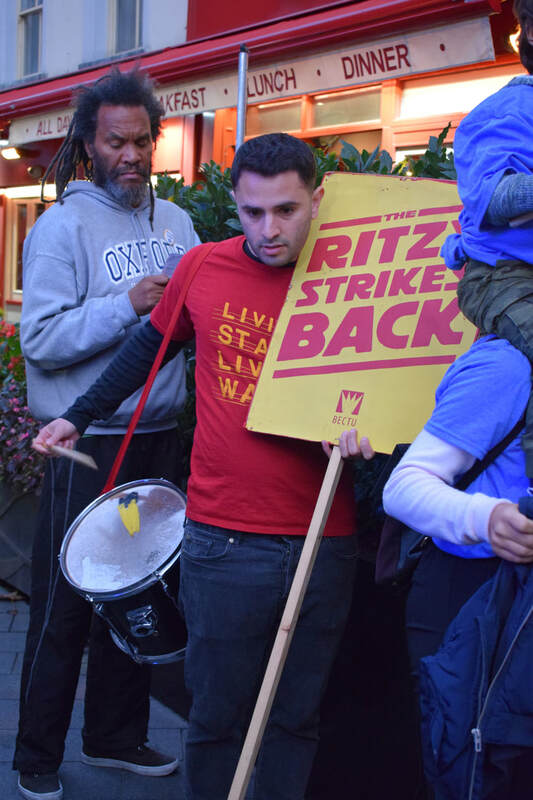 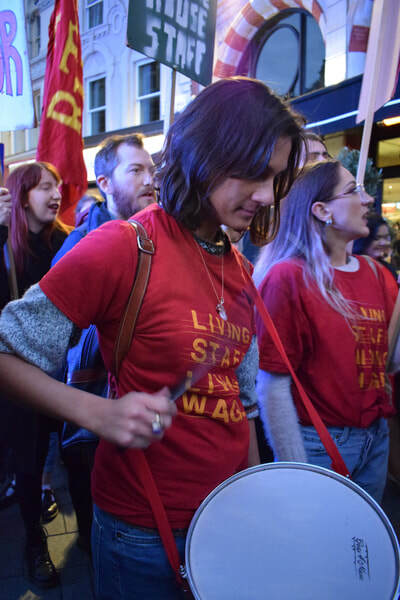 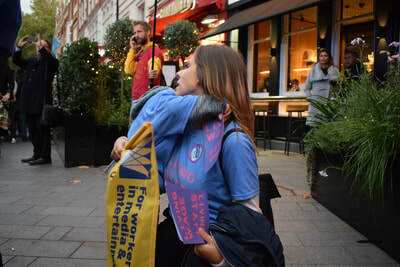 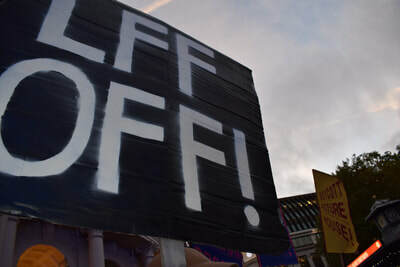 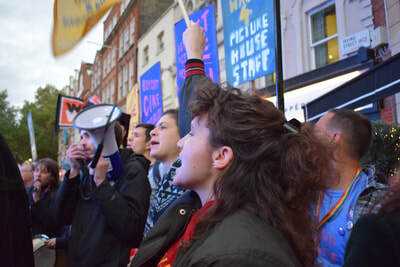 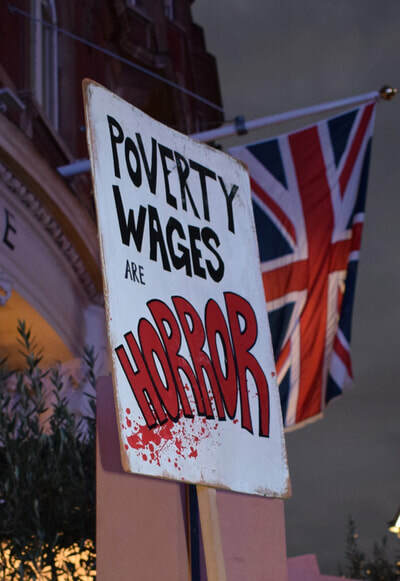 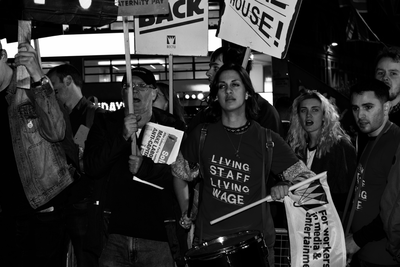 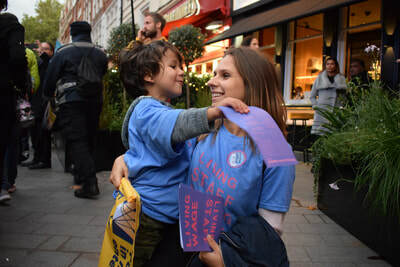 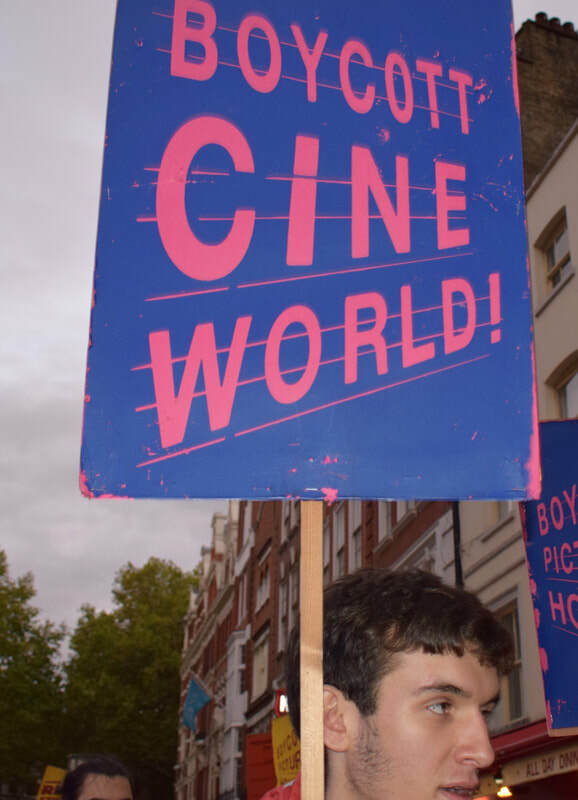 Protestors waved banners saying " Picturehouse - it's time to talk", "LFF - you let us down" and "still no living wage" close to where the stars were arriving on the red carpet, in defiance of a threat by their employer, Picturehouse, to sack those taking part in this strike action. 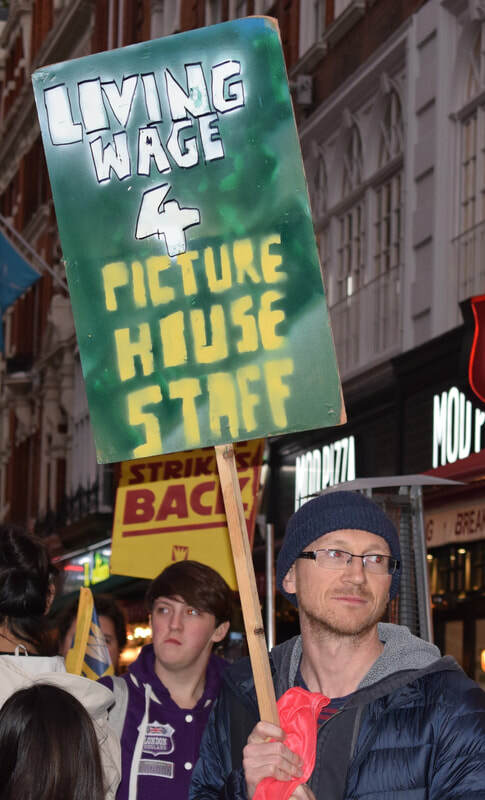 Picturehouse said in a statement "After legal advice, we believe the current strikes would be unlawful and have informed Bectu of our view. 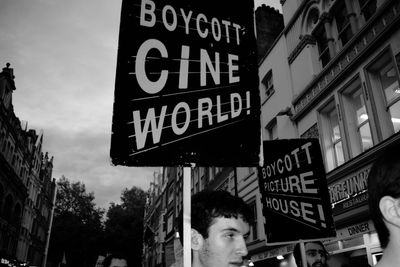 We believe out staff will not participate in any unlawful action against the company". 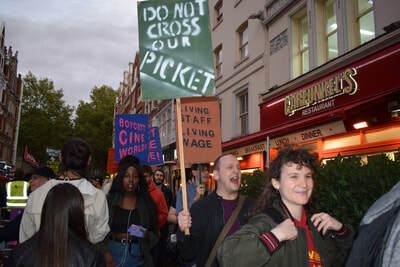 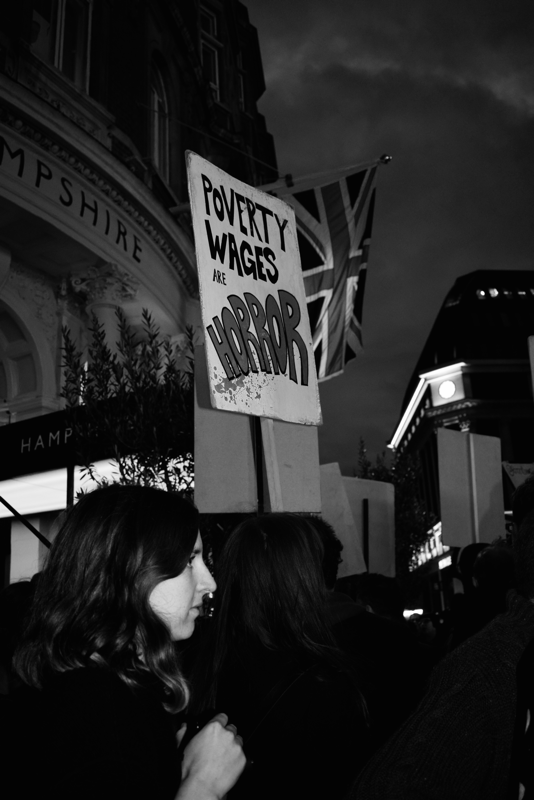 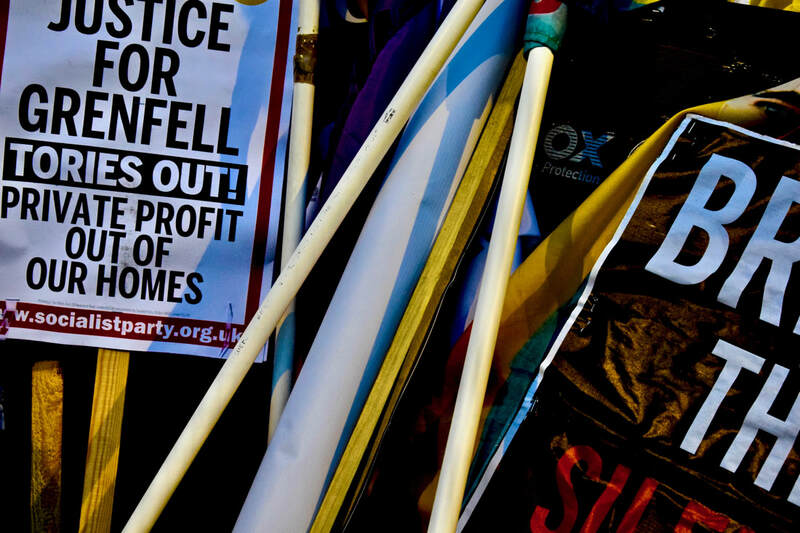 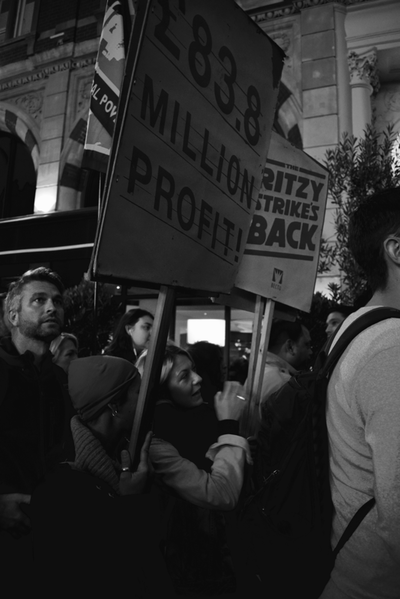 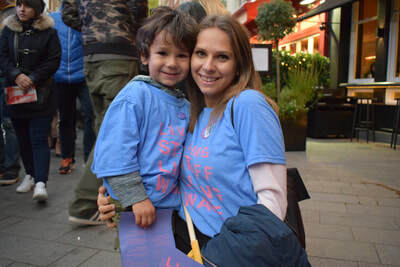 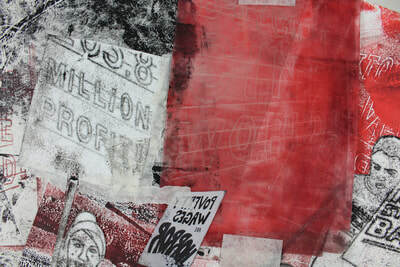 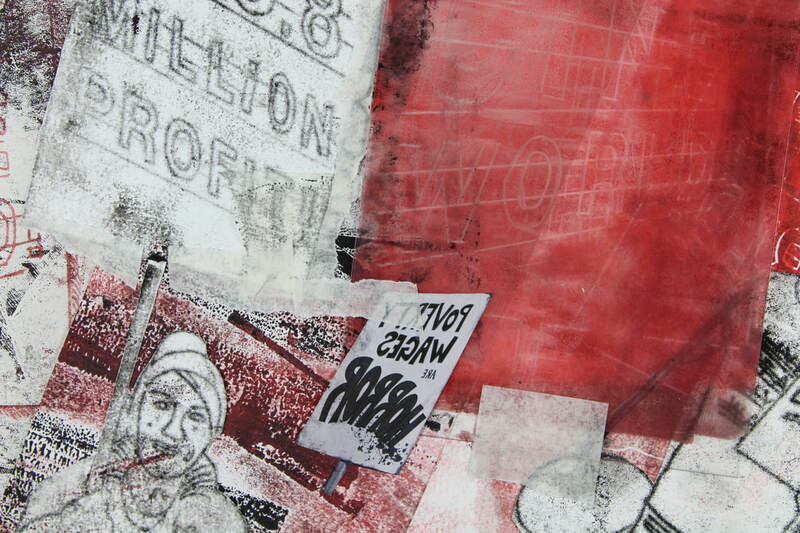 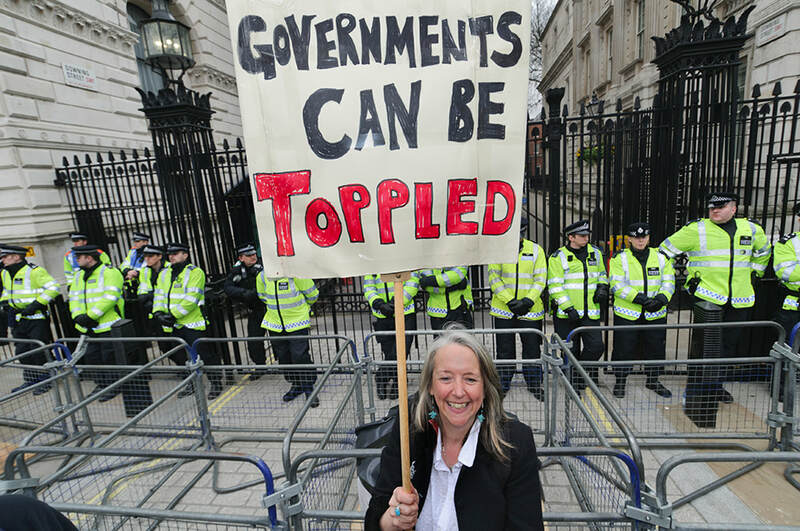 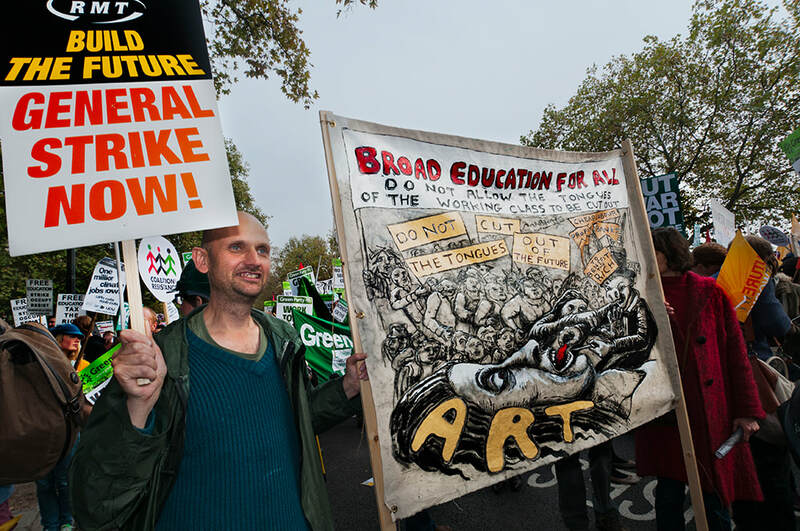 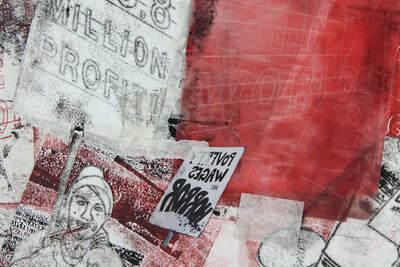 50 protesters took part in the demonstration in Leicester Square, in the capital, as part of a campaign entering its second year demanding a London living wage. My intention of this shoot was to represent the passion and emotion the protestors feel about this political issue, through their stance and facial expressions. 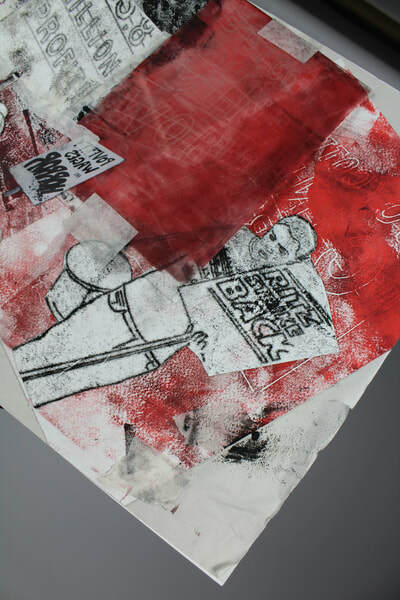 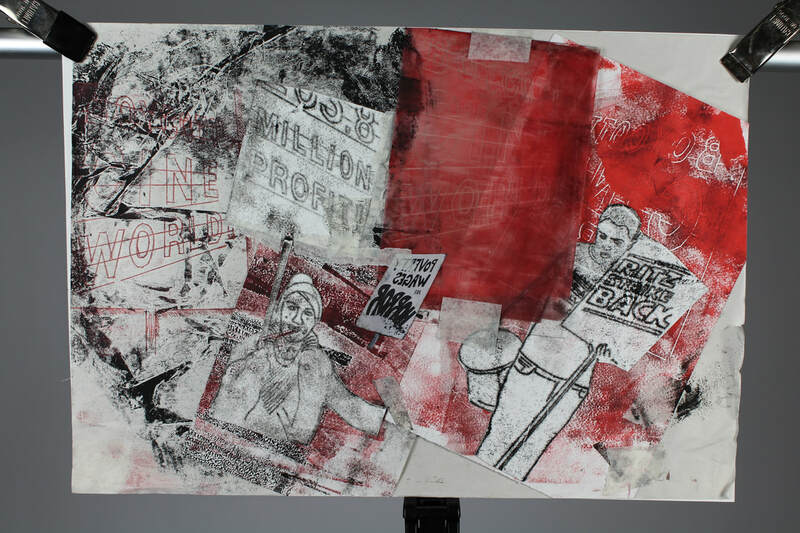 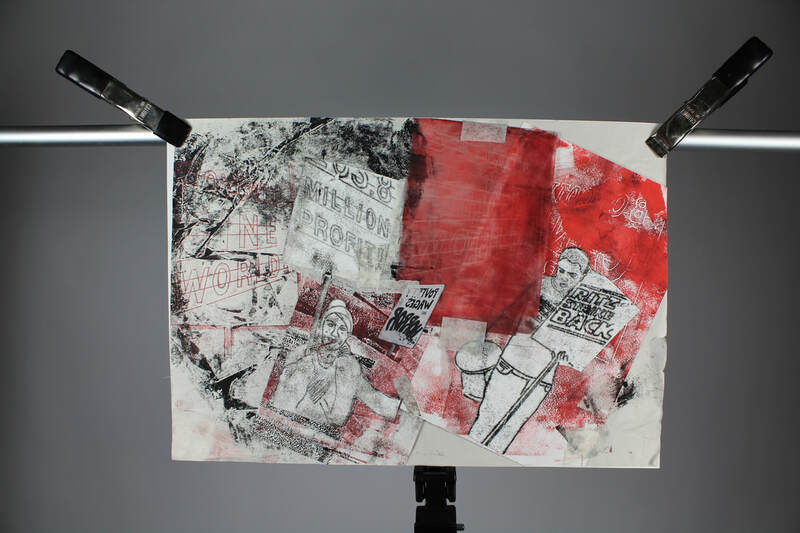 I was pleased with how the photographs came out, and they looked more powerful in black and white, which could be seem to represent the darkness of this issue and anger it has brought the people. In my next shoot, I want to focus on getting that same powerful feel but in colour, and not having to make the images black and white. 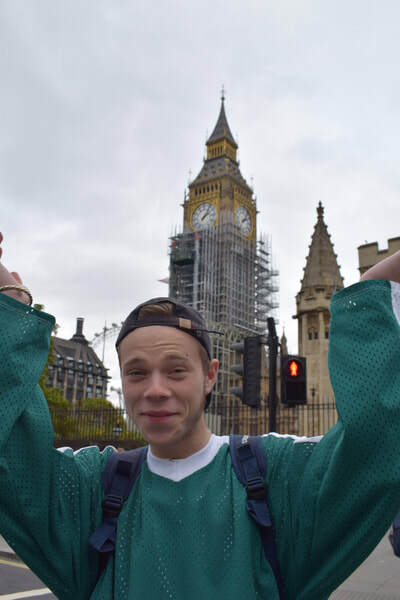 Pope was born and raised in Brighton, England. 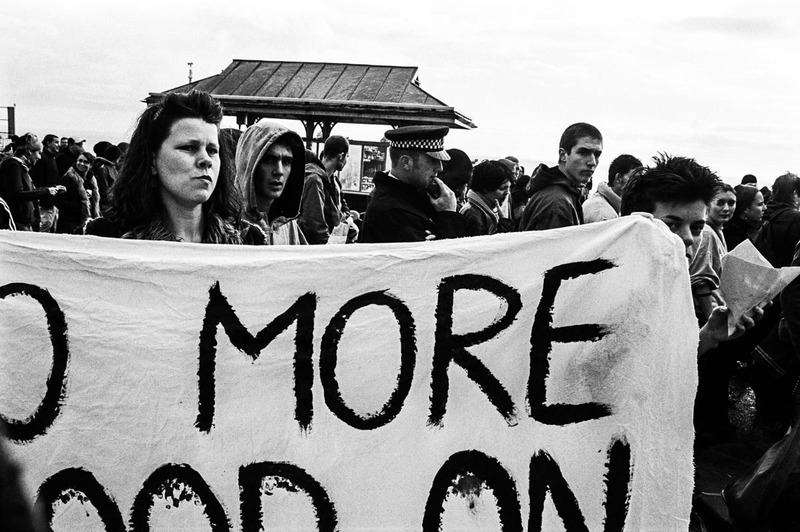 Pope is a documentary photographer with a big passion for creating socially committed, long-term photographic essays about people. Pope sees the camera as a tool for self- expression that allows him to explore these spaces and helps him describe the world as he sees it. 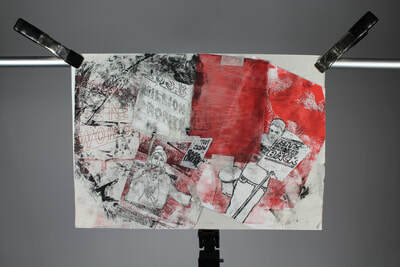 Pope is currently based in Kobe, Japan, where he is Director of Design, Media and Marketing for the International Academic Forum [IAFOR], including working on the online magazine, THINK. In January 2015 Pope became the Creative Director of the IAFOR Documentary Photography Award, which is an international photography award that seeks to promote and assist in the professional development of emerging documentary photographers and photojournalists. 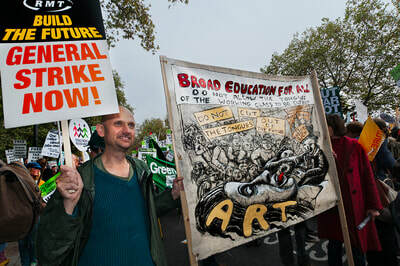 Pope is an alumnus of the London College of Communication, University of Arts London, from which he graduated in 2007 with a BA (Hons) in Photography. 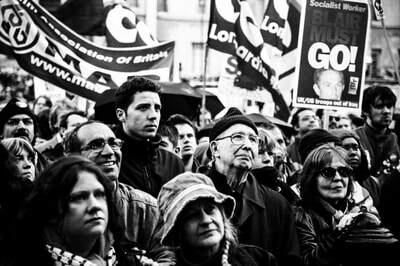 The reason I have chosen Pope as my artist inspiration, is the way he uses black and white to create such powerful and bold photographs, really capturing the emotion the people felt at the time. 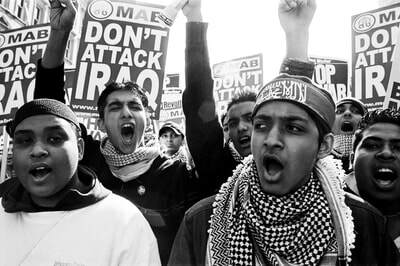 My work: editing the photographs into black and white. 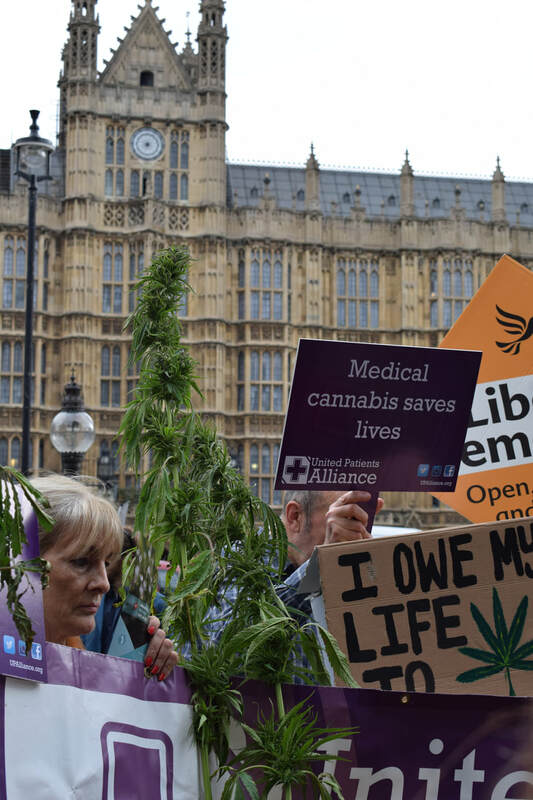 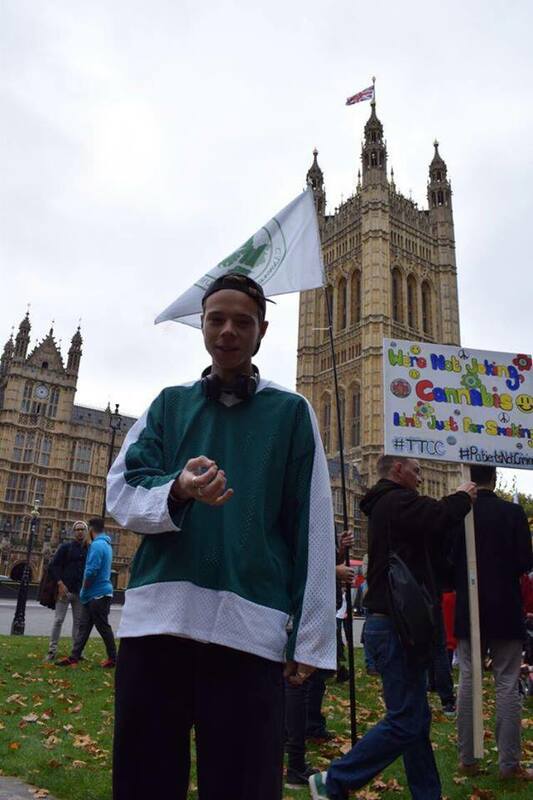 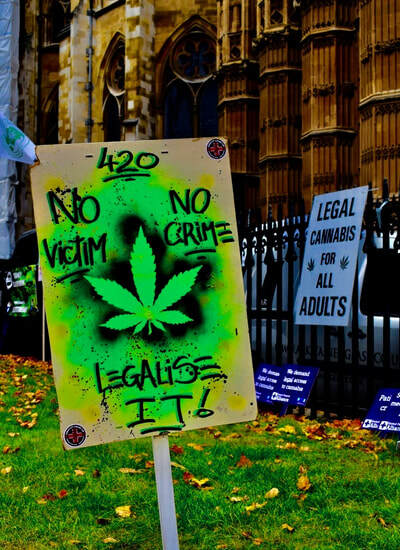 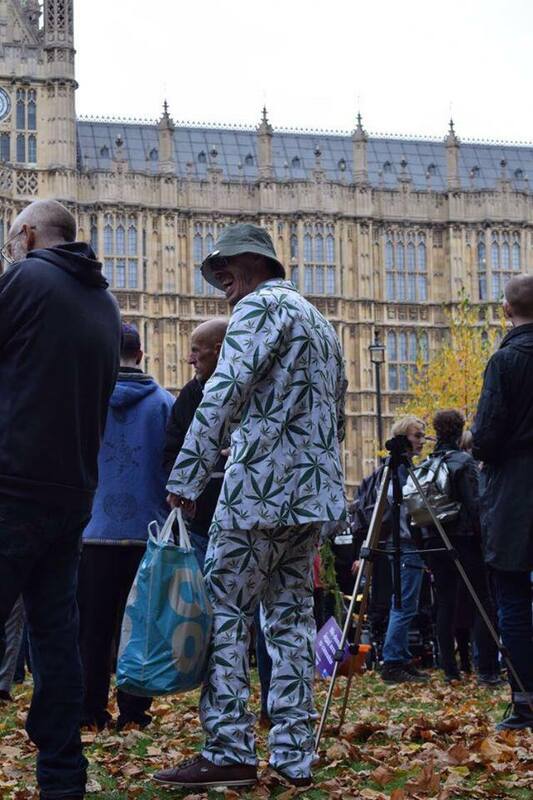 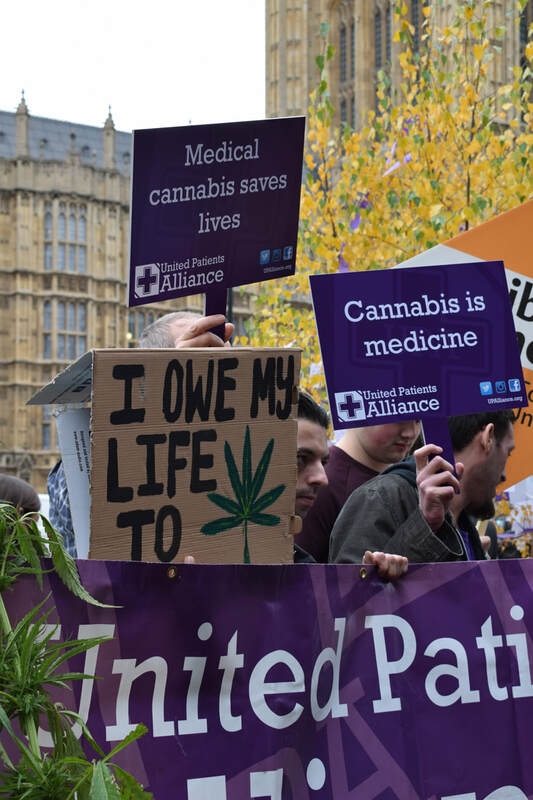 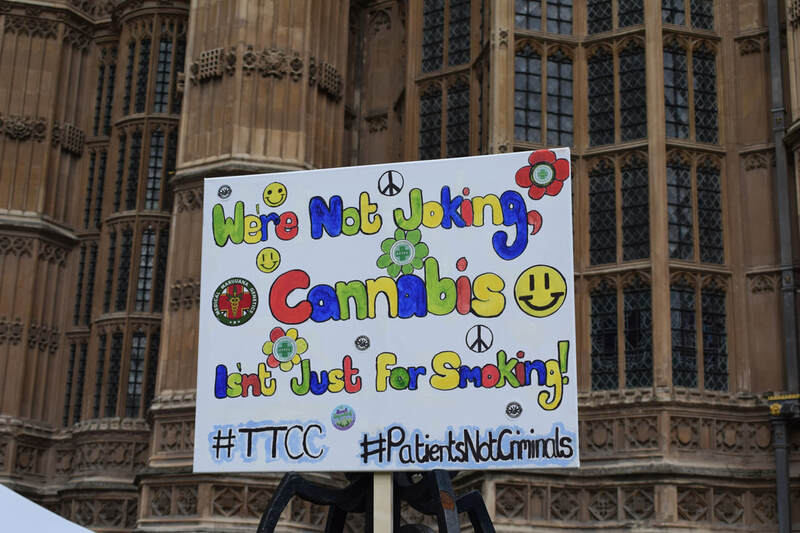 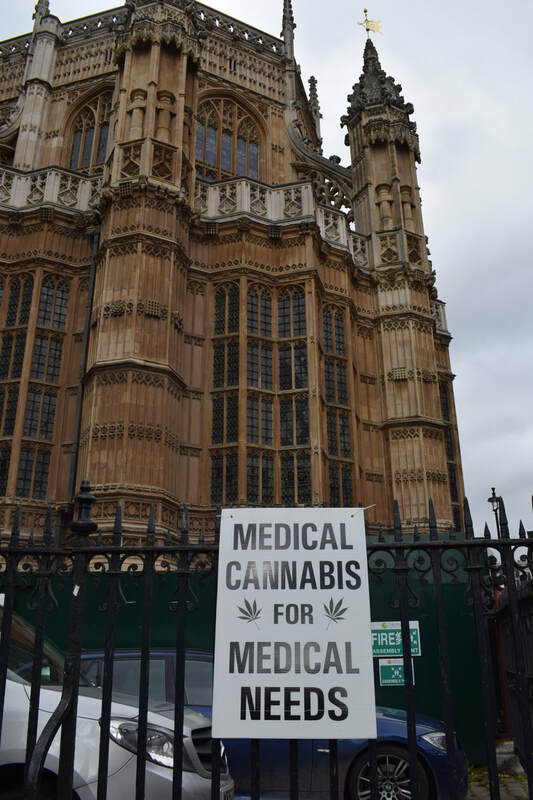 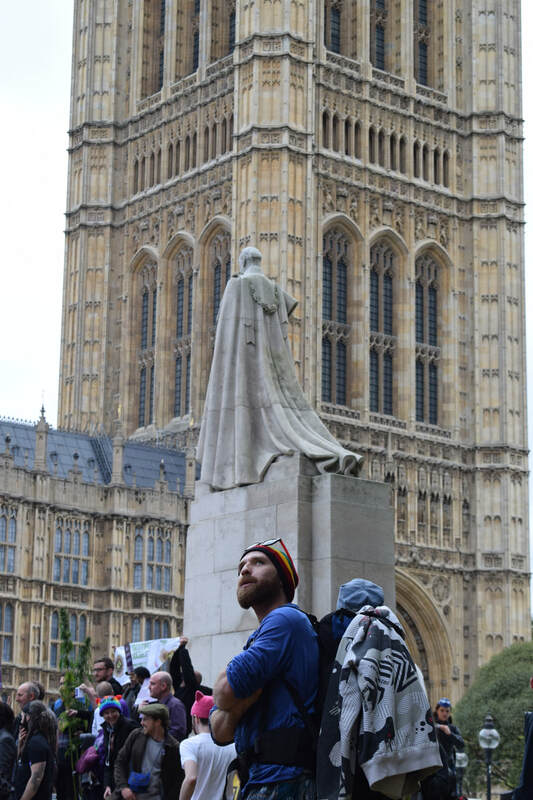 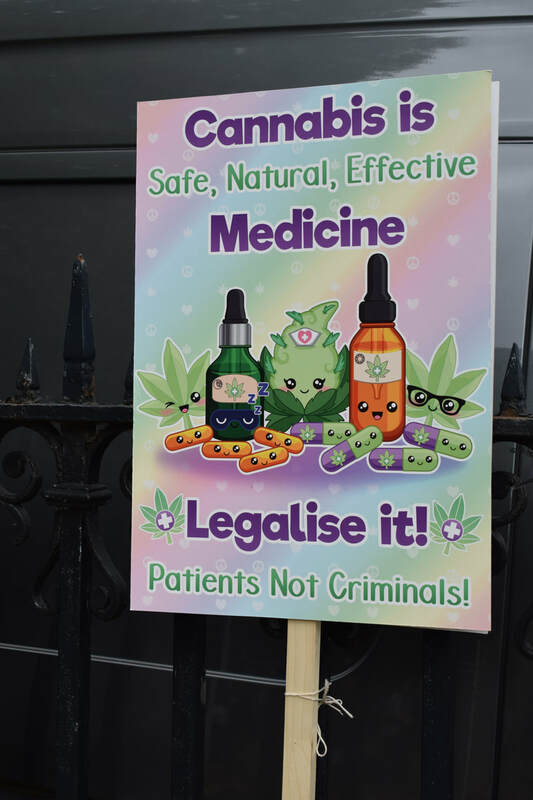 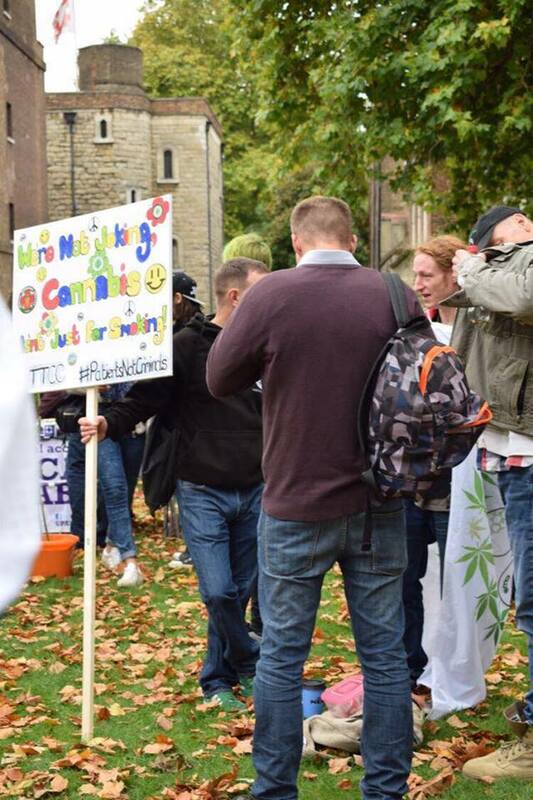 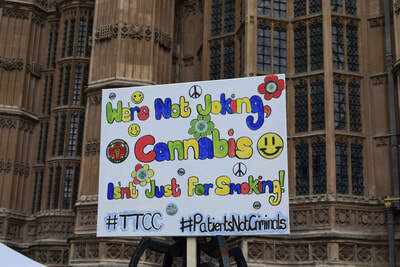 MP and activists gathered outside Parliament for a "cannabis tea party" demanding the legalisation of the drug for medicinal purposes. 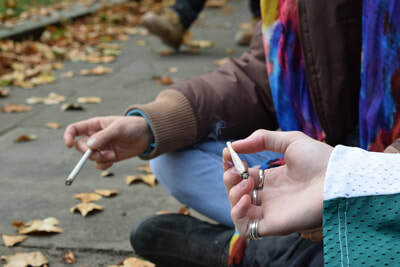 Despite the possession of cannabis leading to a maximum prison sentence of five years, activists smoked joints at the tea party just yards away from the Houses of Common. 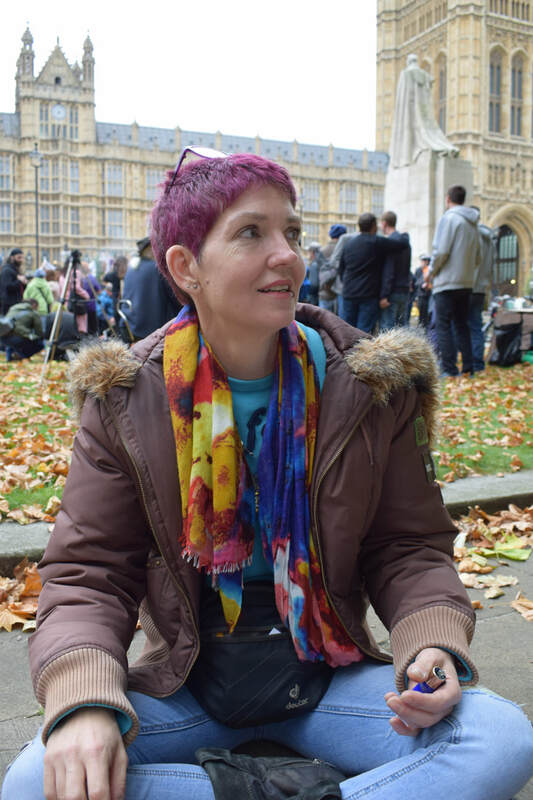 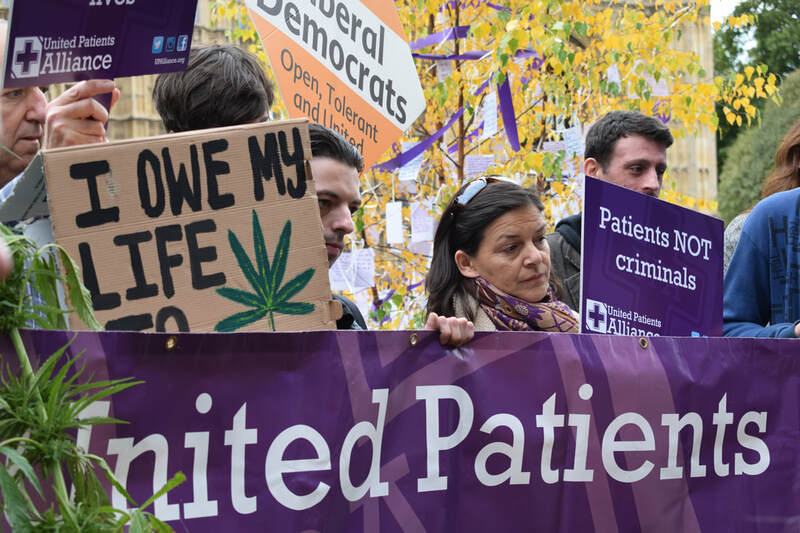 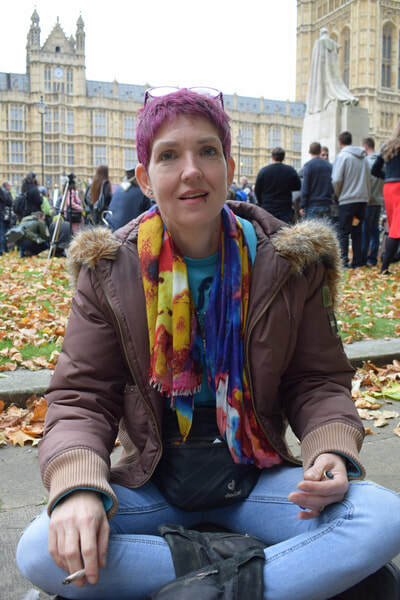 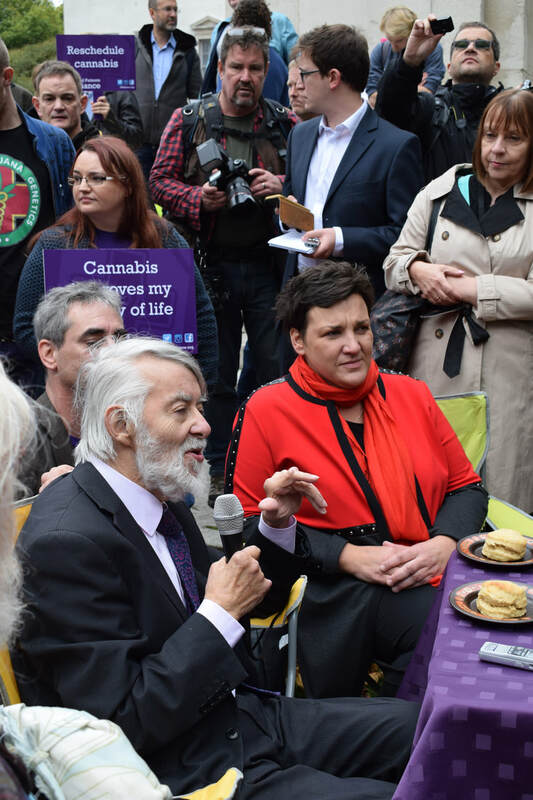 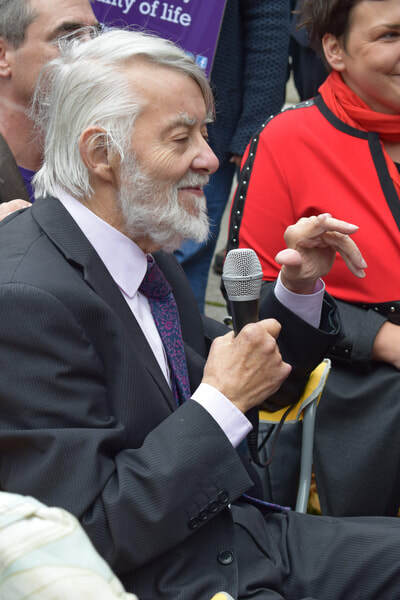 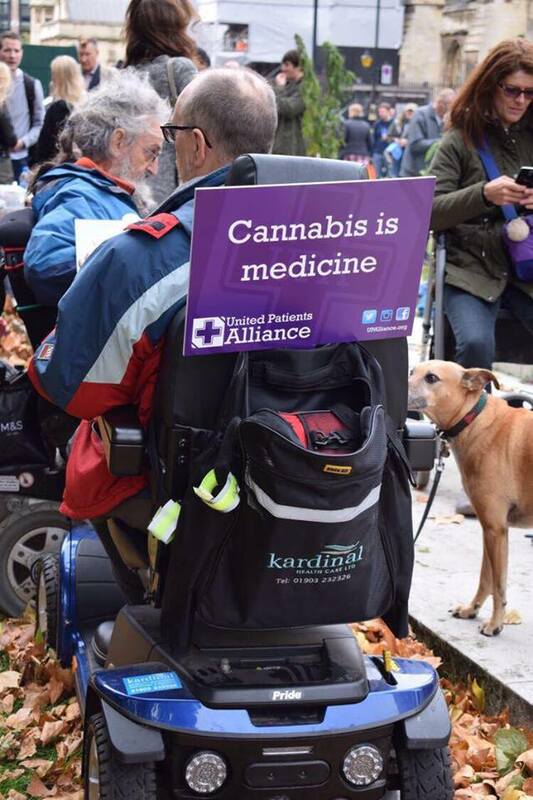 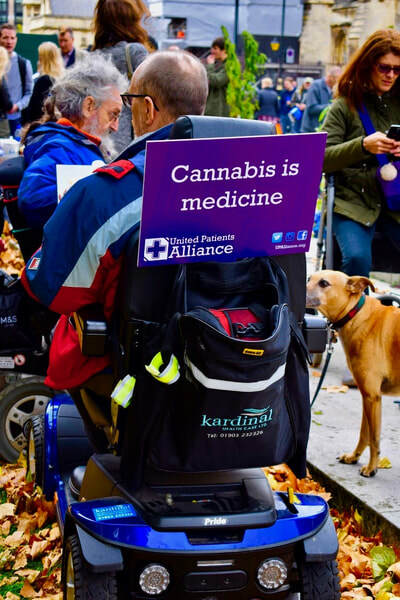 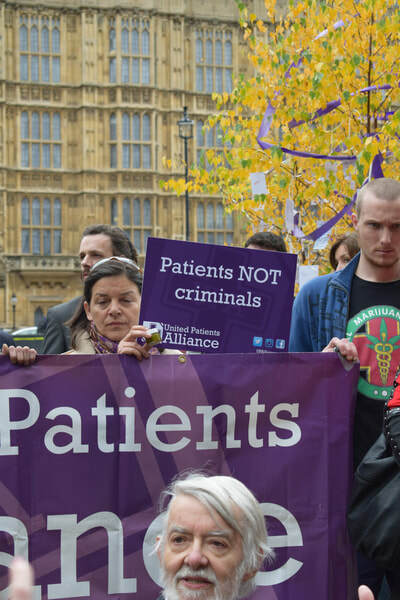 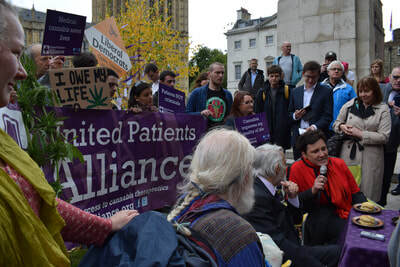 It was organised by the United Patients Alliance, a group that hopes to legalise the drug for those suffering from chronic conditions, including multiple sclerosis (MS), the Labour MPS Paul Flynn and Tonia Antoniazzi appeared alongside the Liberal Democrat MP Layla Moran. 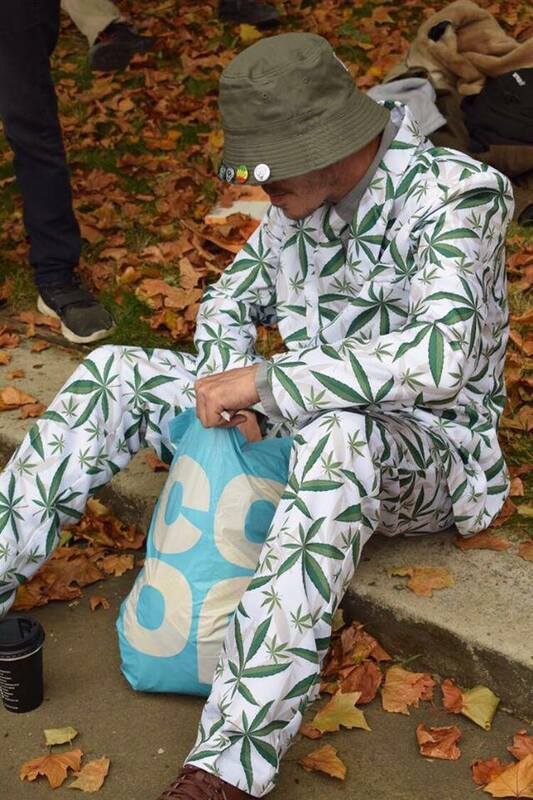 Mr Flynn sat at the head of the table with cakes and scones containing cannabis. 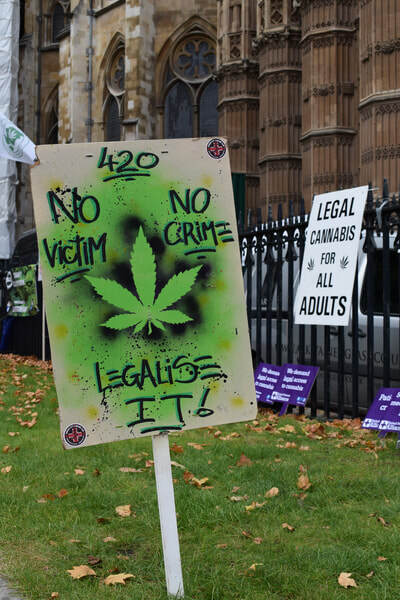 He has introduced a private members' bill on the issue in the Commons, accused the Government of having an "evidence- free" approach to the criminalisation of cannabis. 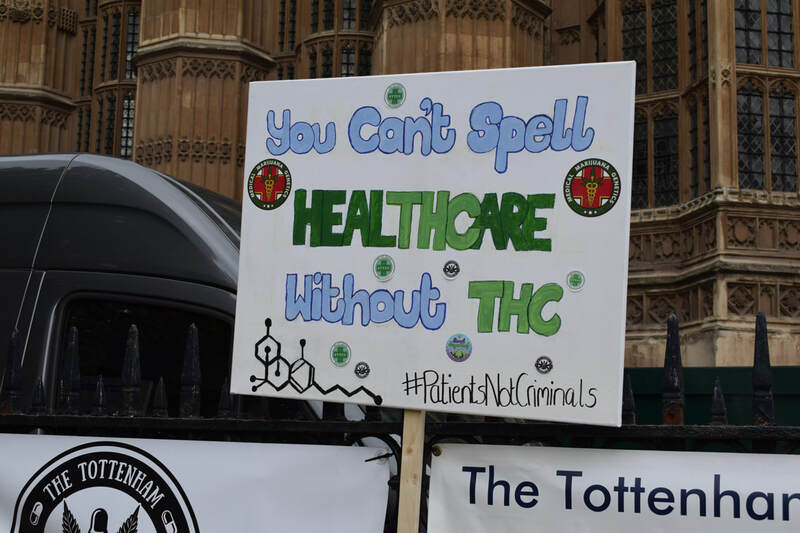 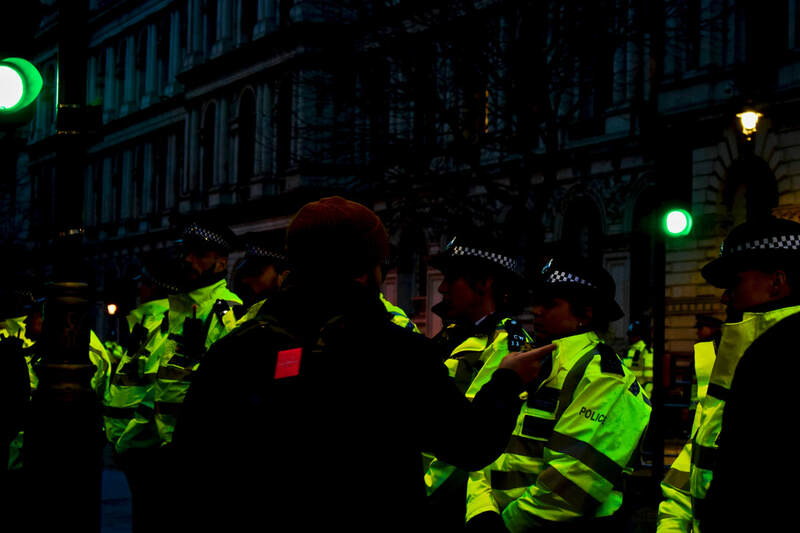 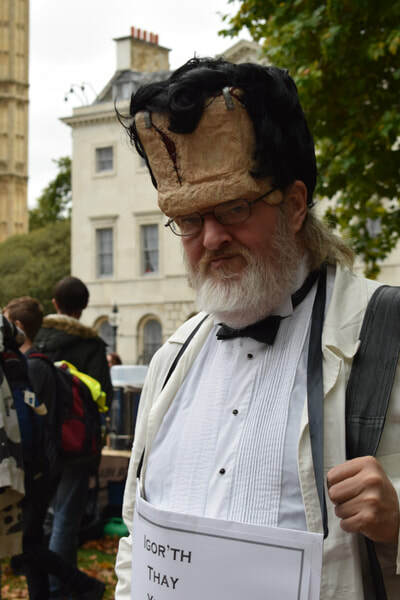 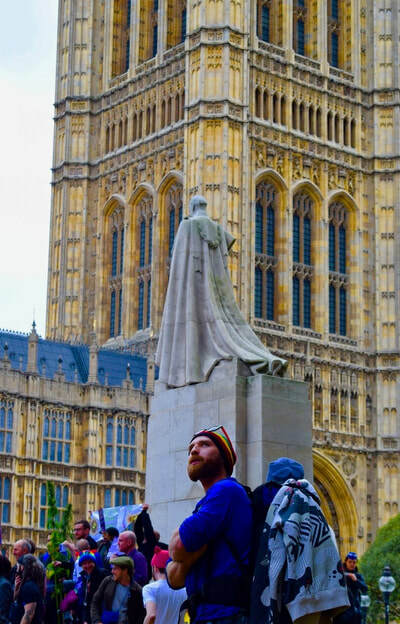 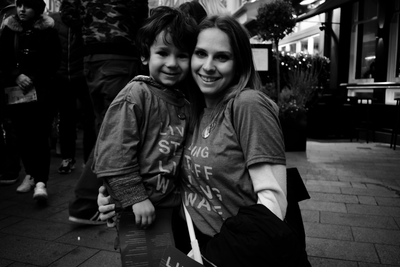 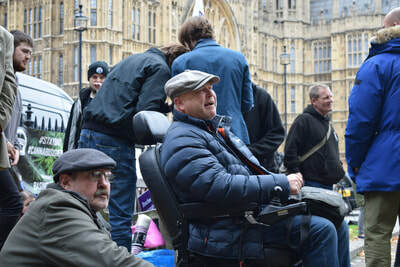 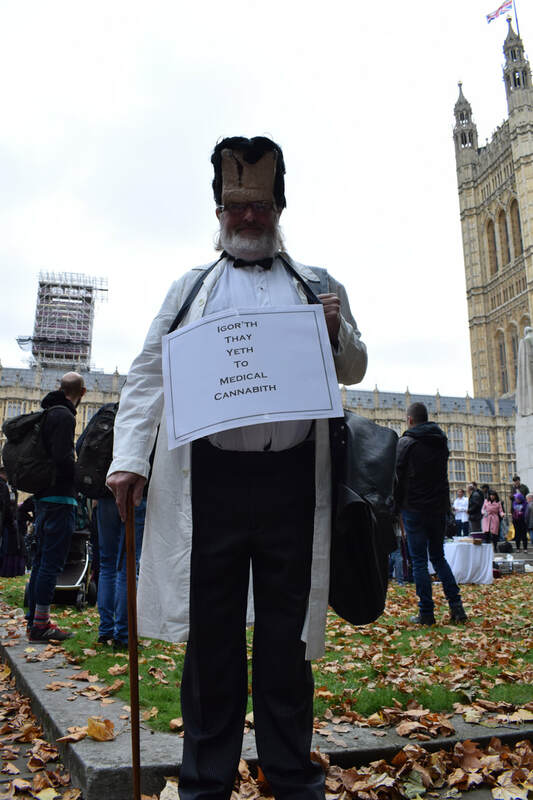 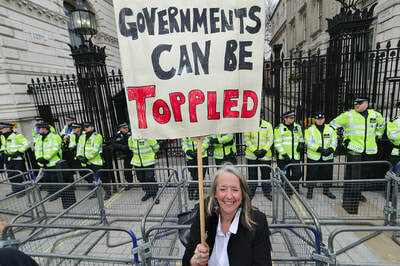 The protest did aligned with a ten- minute bill presented by Flynn himself, which suggested that medical cannabis should be legalised in the UK as soon as possible. The Labour backbencher stated it was necessary to stop the suffering and criminalisation of sick people in the UK, and drew contrasts with the 29 US states that have legalised medical cannabis, along with many European nations. 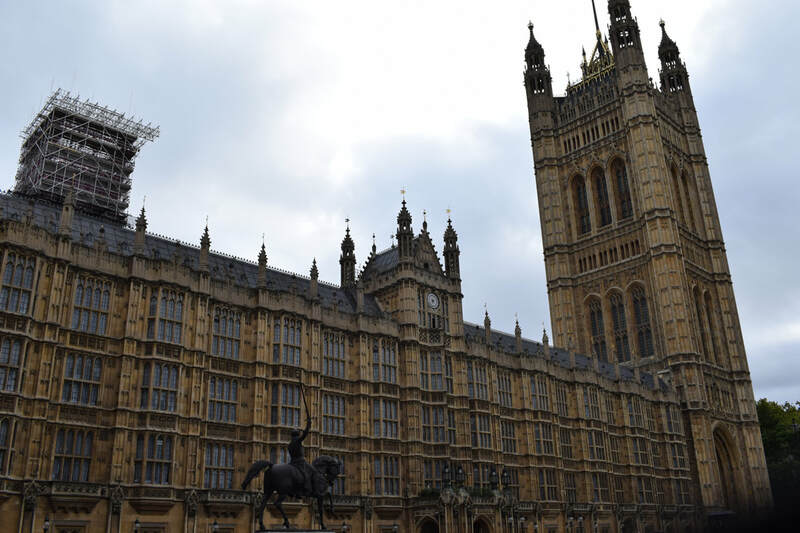 To the surprise of many, the bill passed, and a second reading is set to take place in late February, 2018. 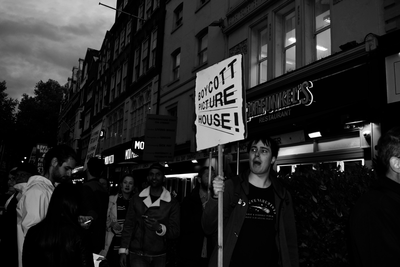 David Hoffman has specialised in social issues photography for over 30 years. 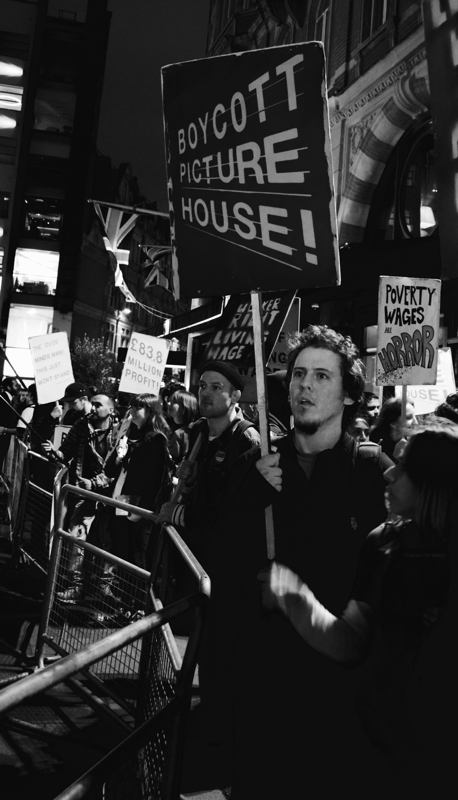 Hoffman's photographs display social conflicts within society including, racism, homelessness, poverty, environmental issues, and many more. 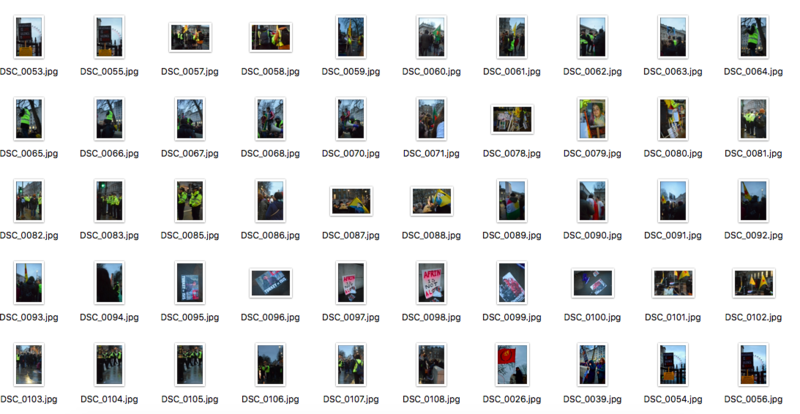 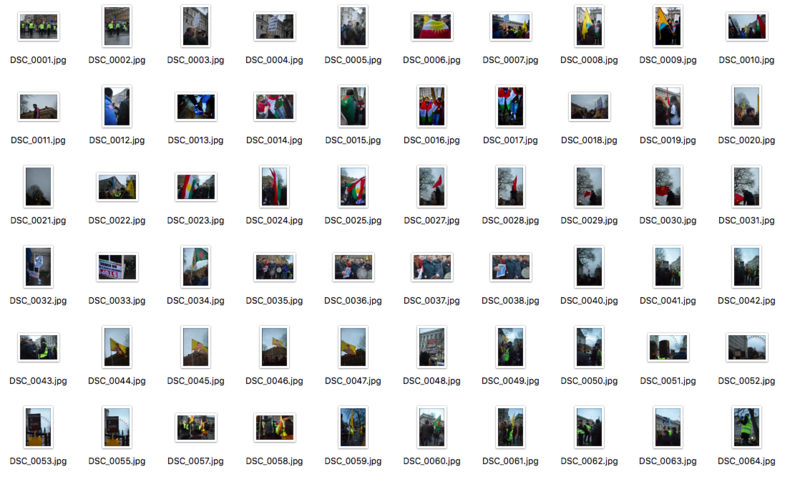 In David Hoffman's series called 'Nothing British' he has captured 39 photographs of EDL supporters at a range of different marches and rallies. 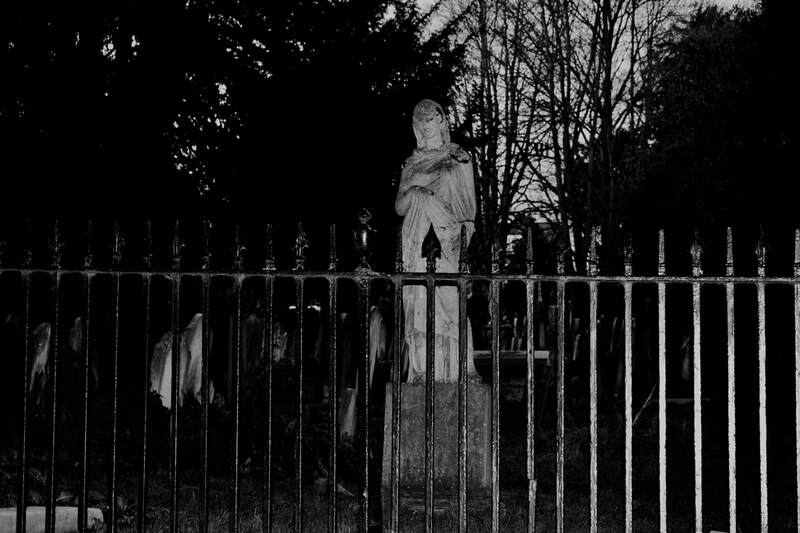 His intentions were to explore the side of the fence that is not often presented to everyone. 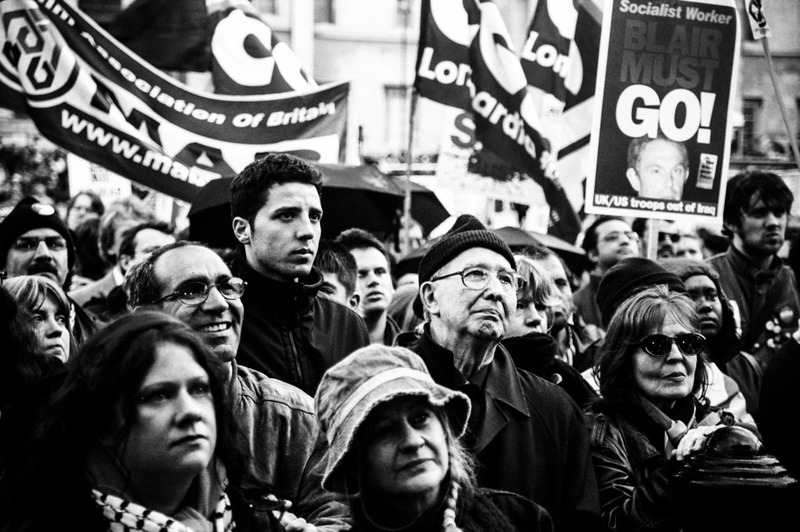 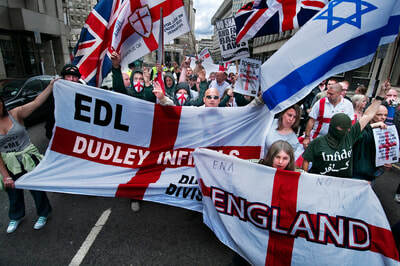 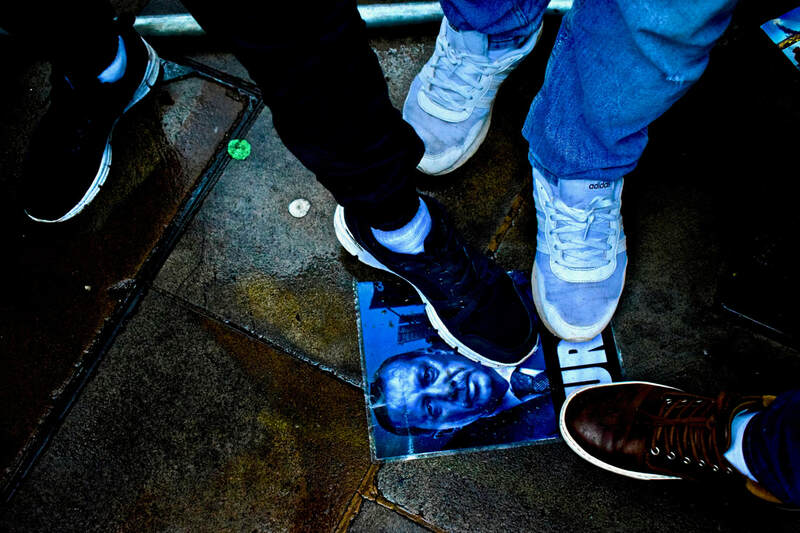 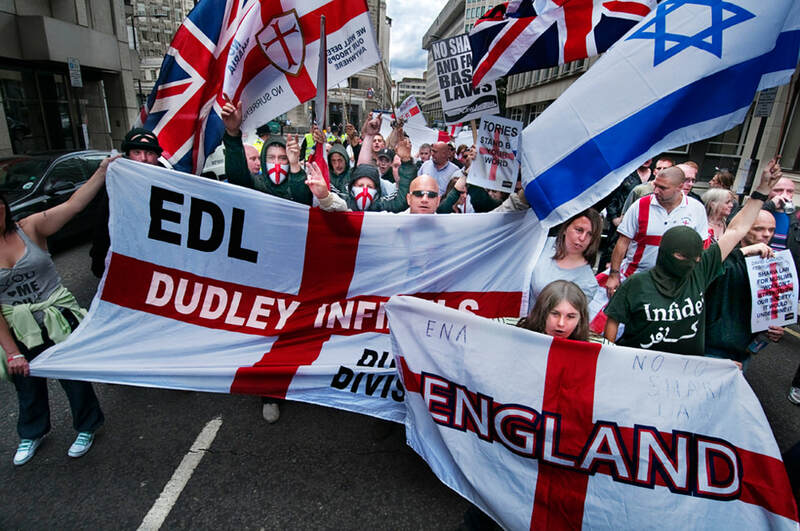 His photographs capture the anger and passion these people feel towards England and viewers are invited to see how many people believe in the EDL's racist views and ideologies. 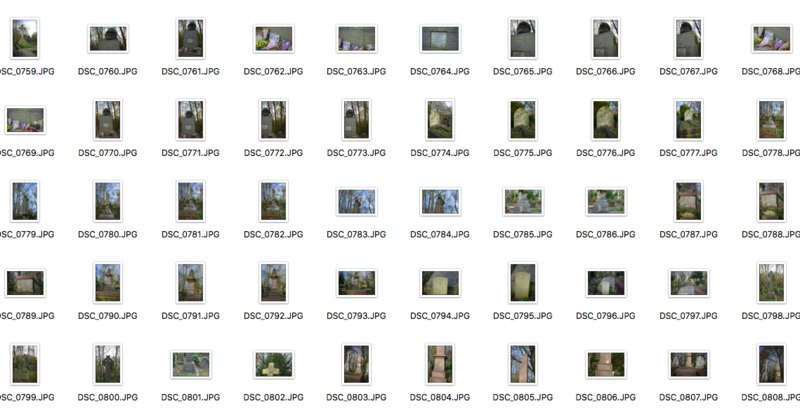 The majority of Hoffman's photographs in this collection are of people. I think this is effective as viewers get to see how strongly people feel by their facial expressions and body language. 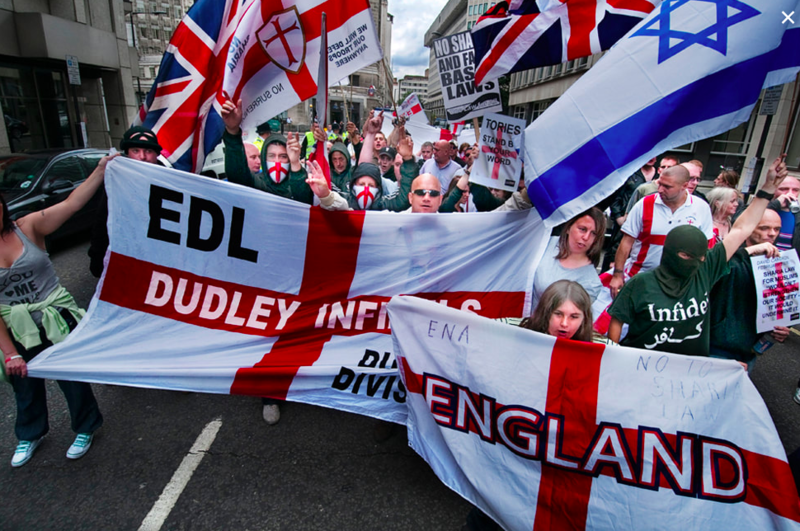 I think the concept behind this collection of images is to expose the idea that being racist defeats the EDL'S whole point and agenda as Hoffman is suggesting that having these views implies you are not British. Protest Number 3 - "Break the Silence on Kurds"
Turkey has launched a war on the 25 million Kurds of south east Turkey ever since the mainly Kurdish political party, the HDP twice won over 12% of the vote in the elections of 2015 and in Syria the Kurdish PYD has led a movement creating a popular progressive democracy in the Rojava region. 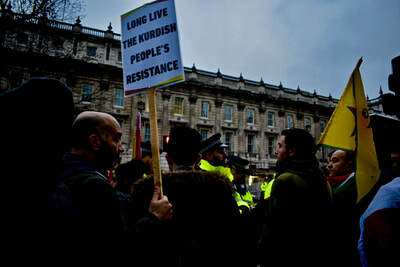 These people were protesting that the rights and aspirations of the Kurdish people to autonomy must be met, in Turkey and beyond, the Turkish state has imposed curfews on towns and cities across the region, with tanks on the streets and snipers on the roofs, and nearly 200 people have been murdered by Turkish forces. 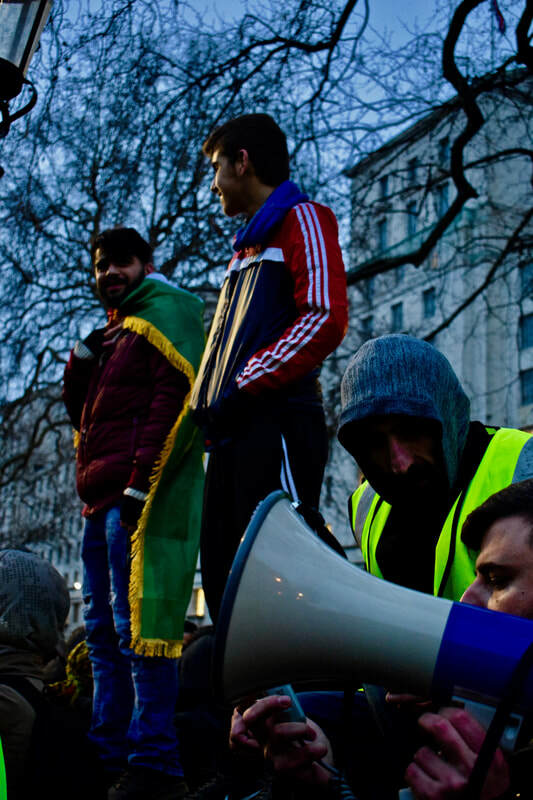 While Turkey is a key NATO ally of the UK and USA and desperate to get into the EU, the UK and international media have said and done nothing to stop this brutality. 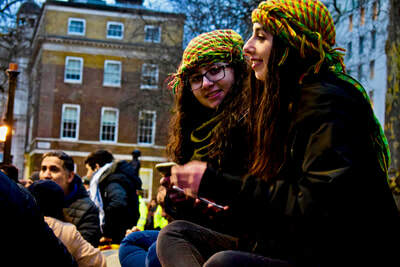 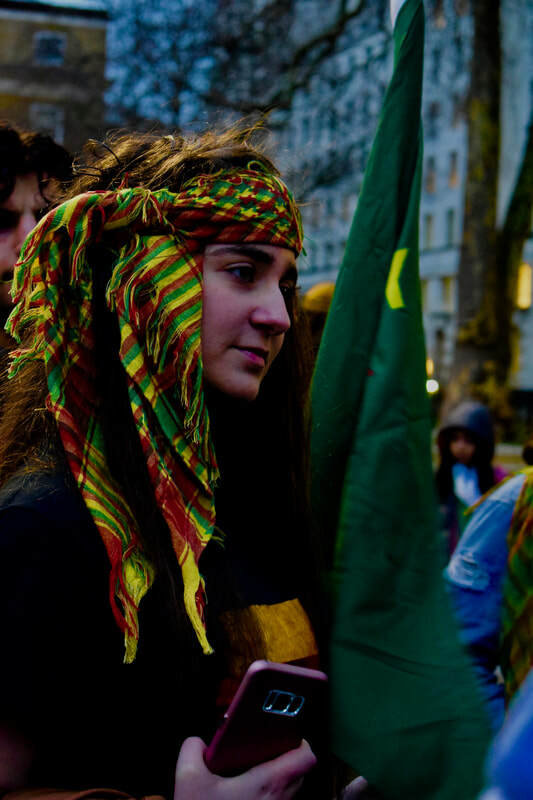 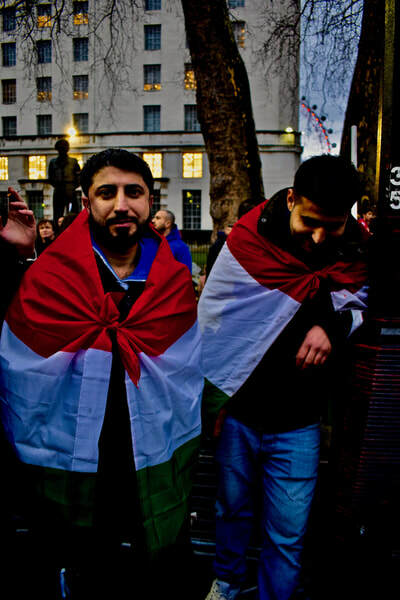 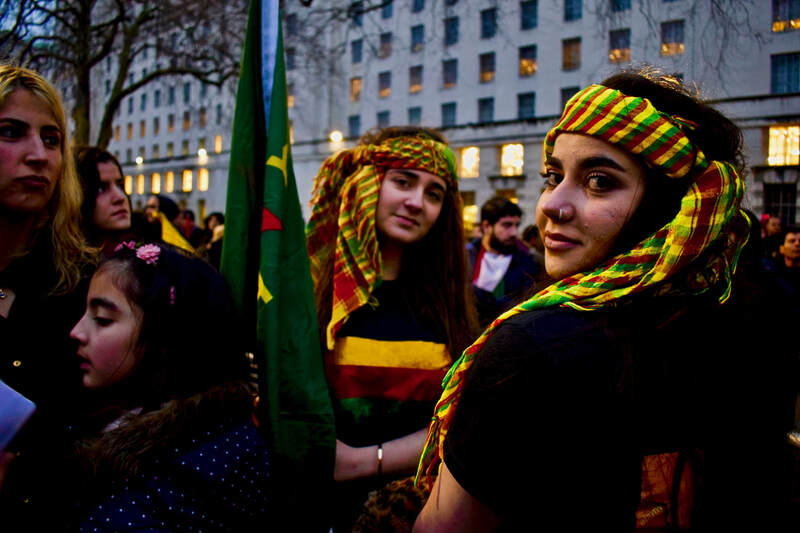 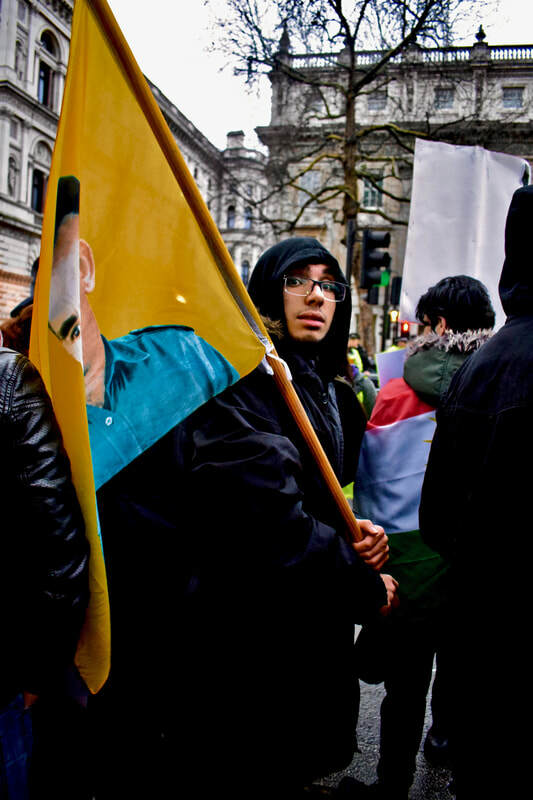 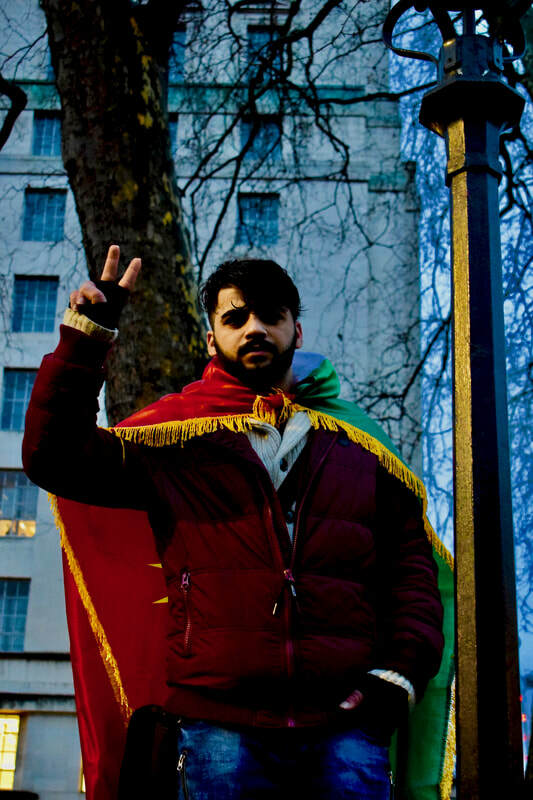 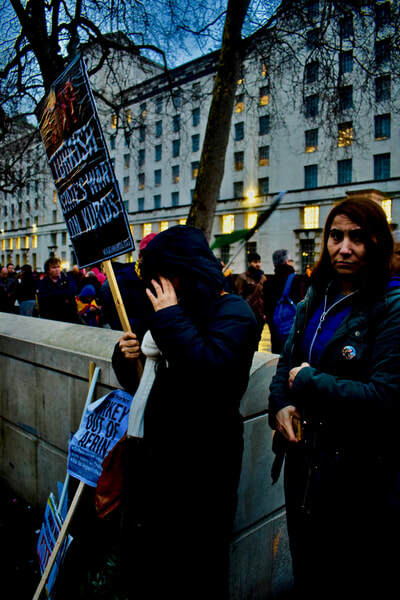 The Kurdish movement in the UK have been protesting about their treatment by Turkey since 100,000 Kurds came to this country in the 1980s and 1990s, as refugees from the Turkish war against the Kurds when hundreds of villages were destroyed, 30,000 Kurds killed and 3 million made refugees. 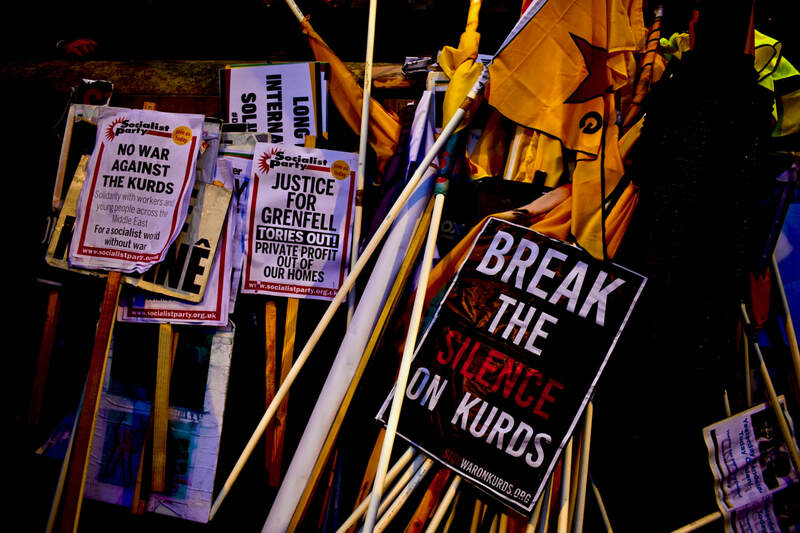 But now for the first time, in the face of the Turkish state restarting the war against the Kurds, it has been decided to call a national demonstration under the slogan ‘Break The Silence’, as this brutal attack is unreported in the UK press, and Stop Turkeys War on the Kurds, as they are demanding the UK govt puts pressure on Turkey to stop these attacks and return to the negotiations for a peaceful settlement with the Kurdish Movement began with the PKK, the Kurdish liberation movement. 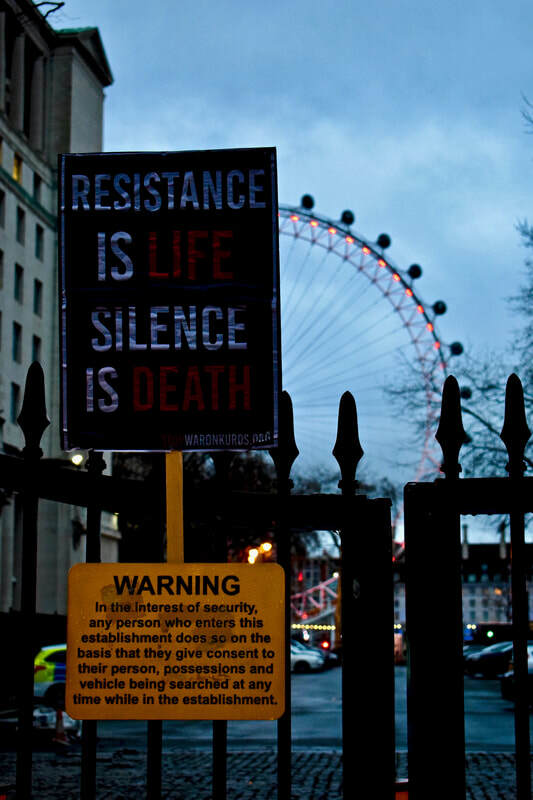 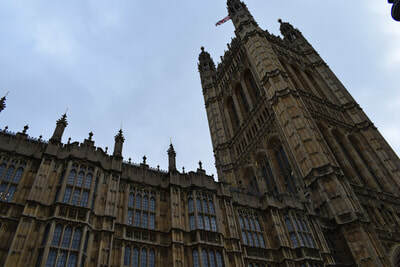 The UK public elects 650 Members of Parliament (MP) to represent their interests and concerns in the House of Commons. 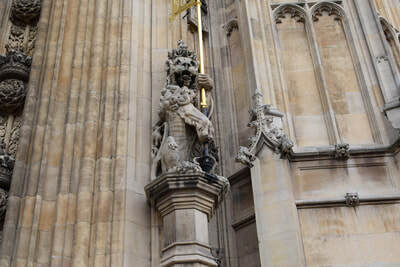 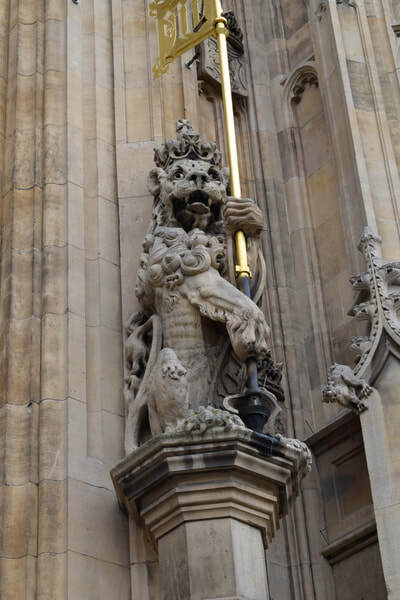 MPs consider and propose new laws, and can scrutinise government policies by asking ministers questions about current issues either in the Commons Chamber or in Committees. 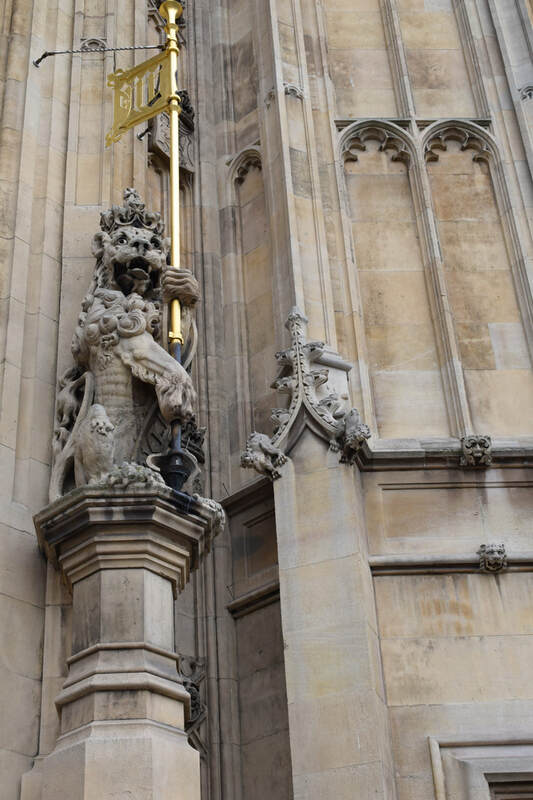 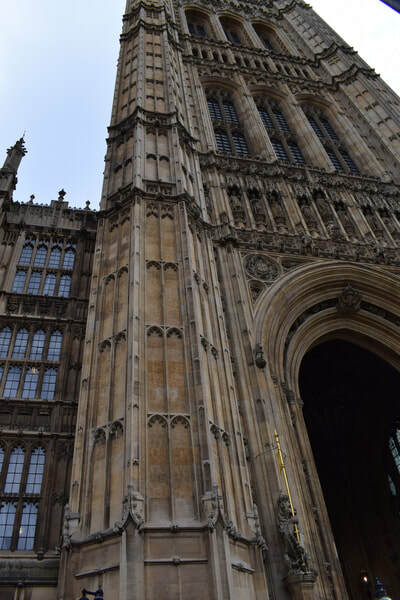 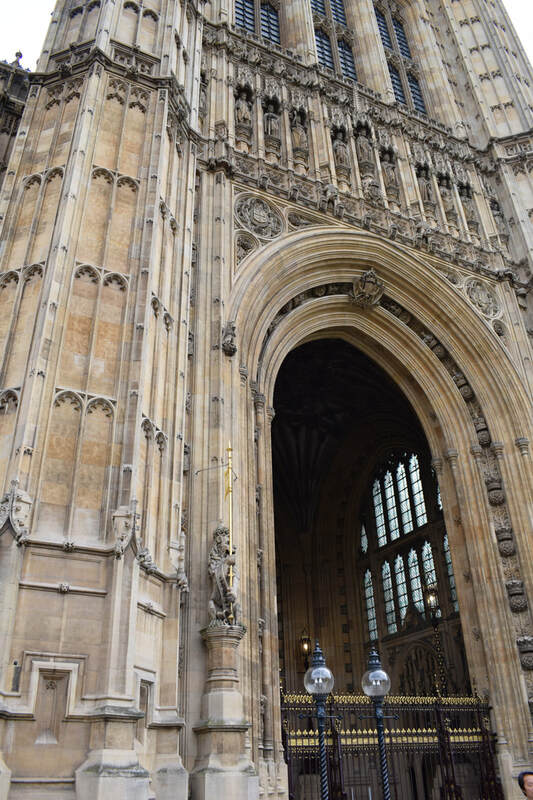 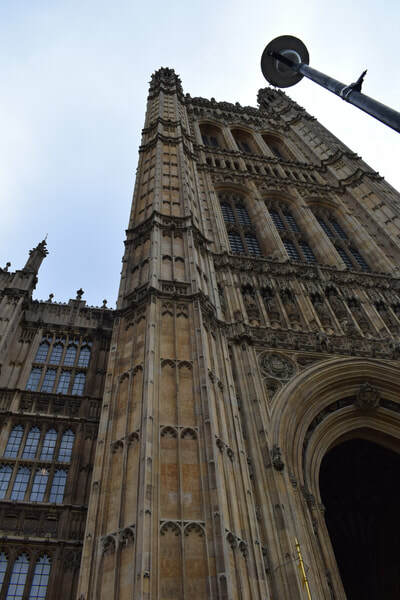 I chose to photograph the exterior of the houses of parliament as when focusing on political issues currently going on, I wanted to have a look and photograph outside a building of importance in London when it comes to political issues. 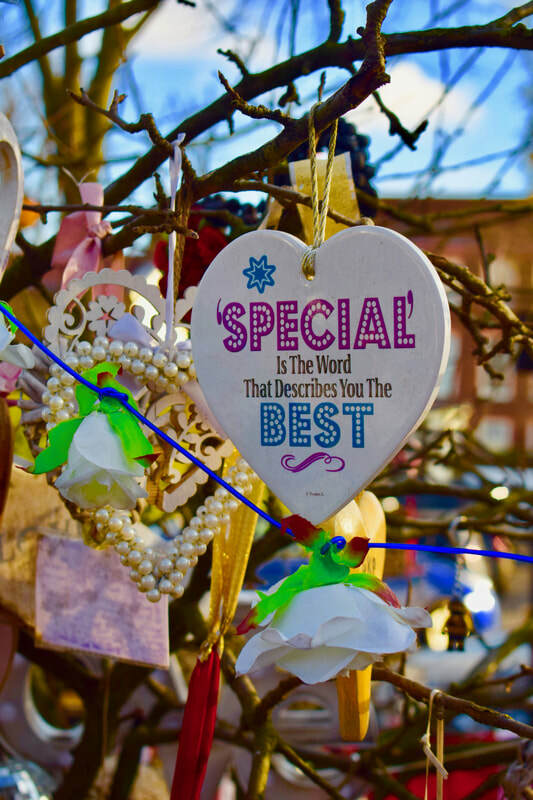 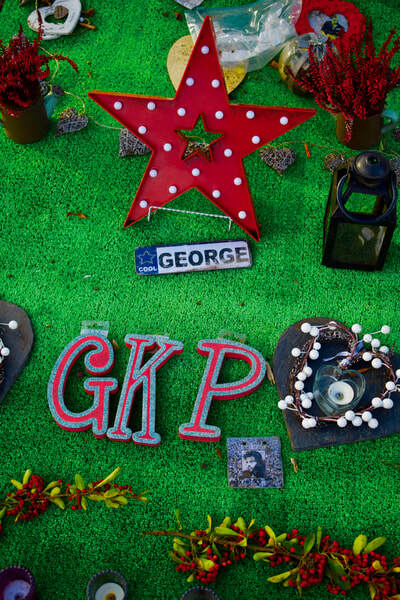 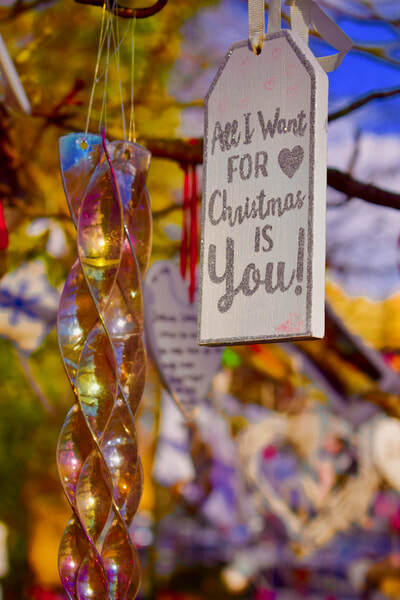 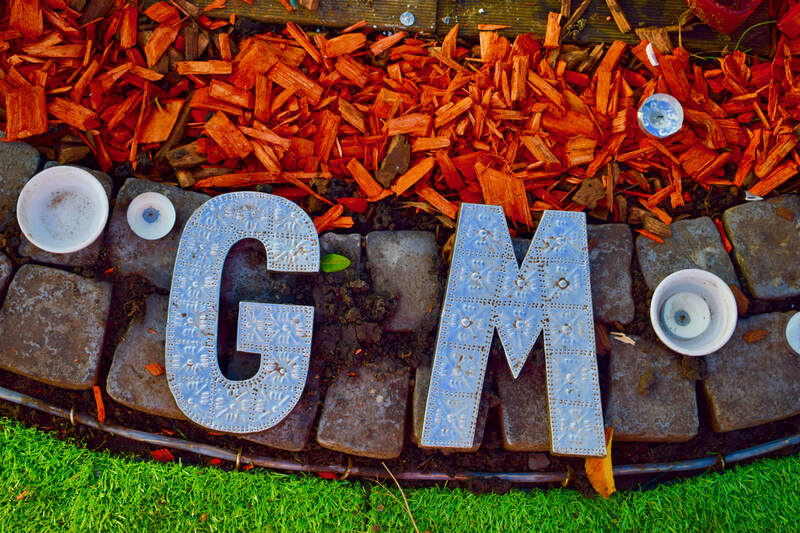 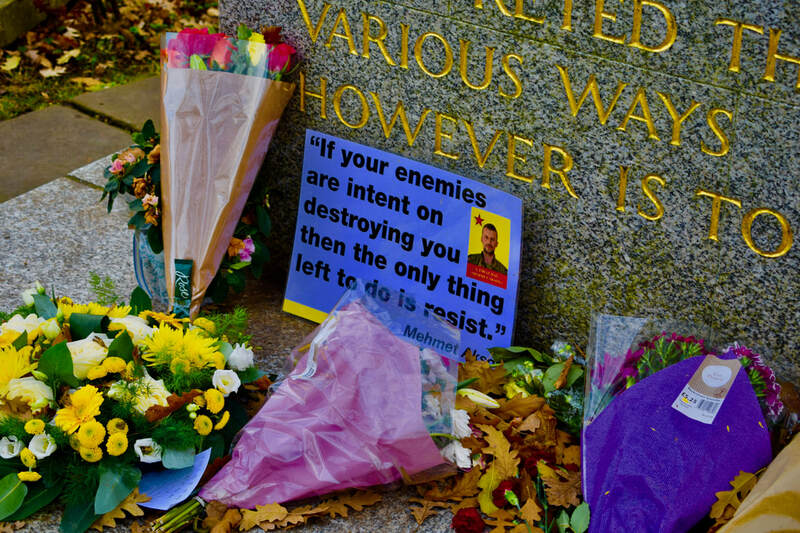 Development: Events that have had an impact on societies conscience politics, etc..
​An informal memorial garden has been created for George Micheal outside his former home in Highgate in north London. 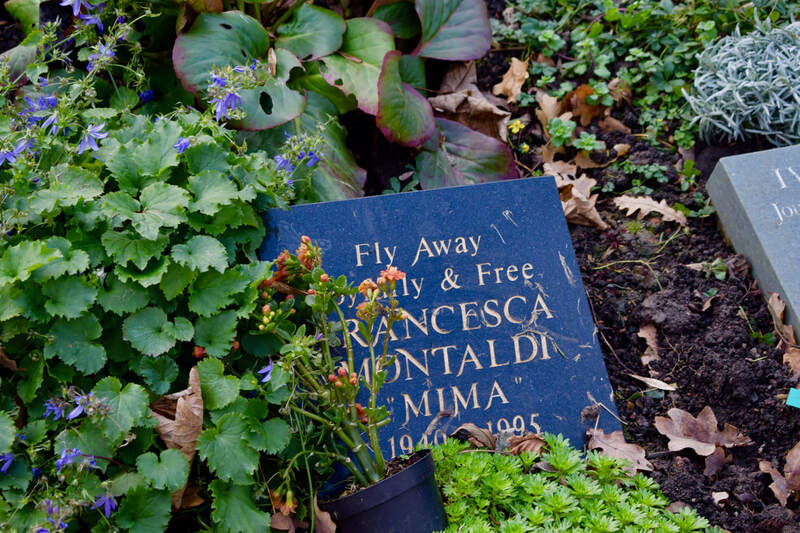 The site, in a private square that was owned by the singer, is tended carefully by his fans and keep the square and tributes immaculate. 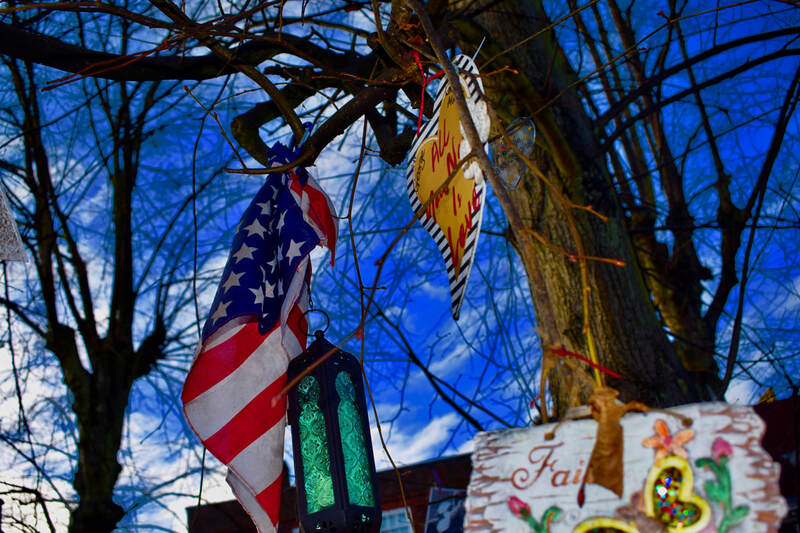 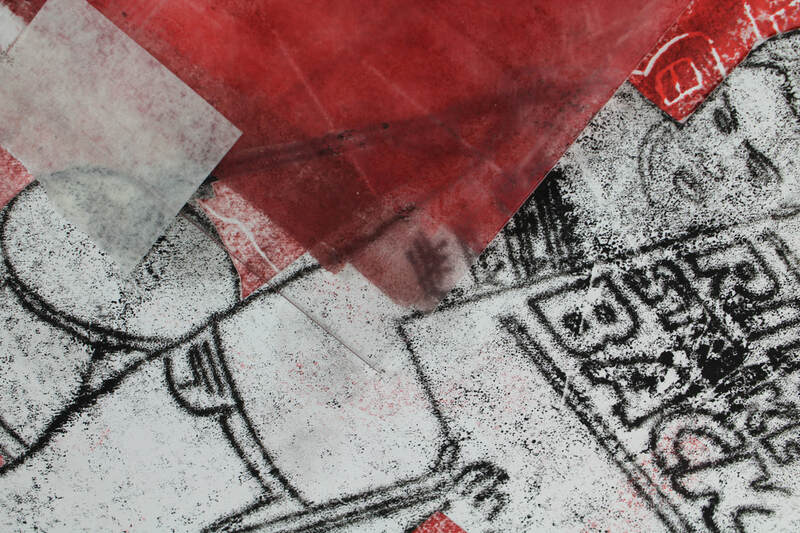 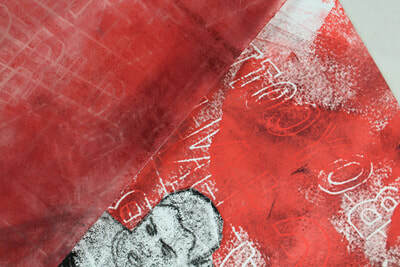 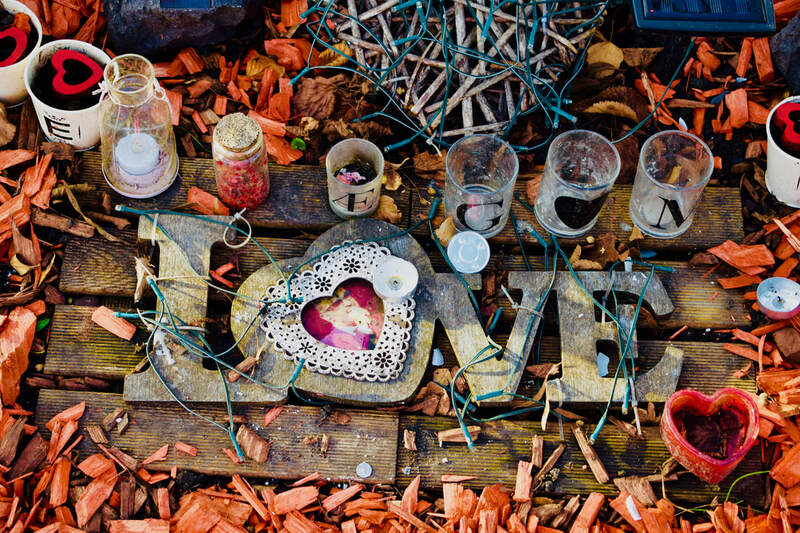 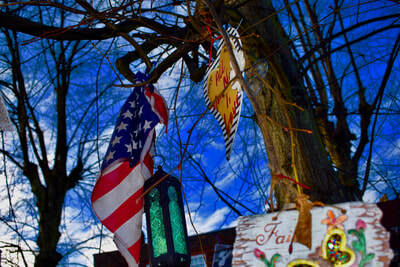 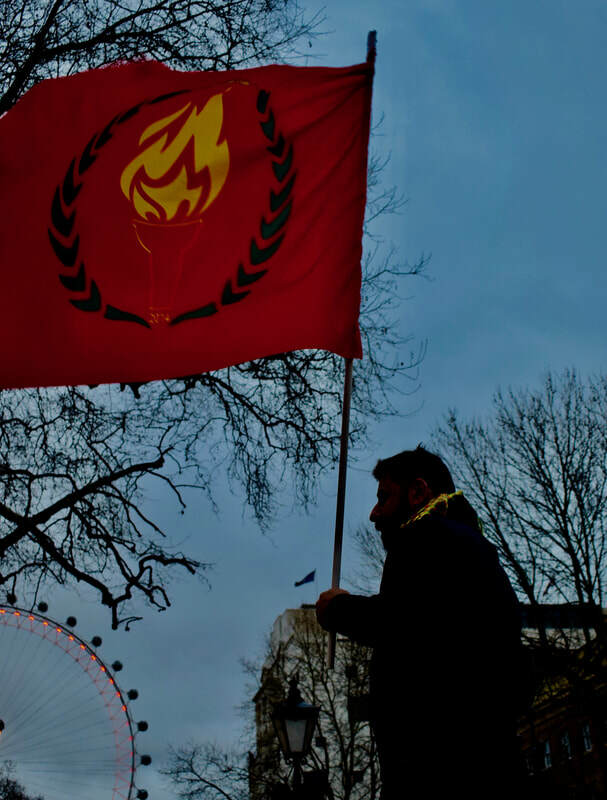 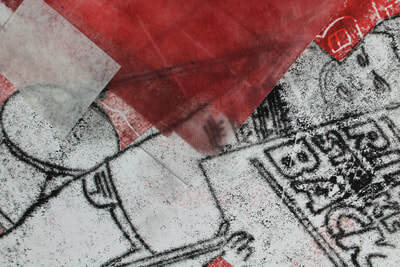 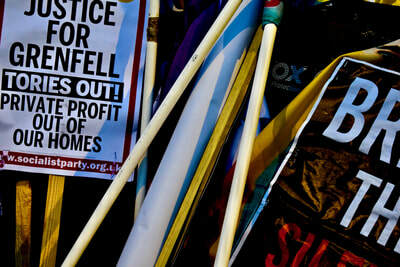 It is an unmissable memorial of increasingly flowers, photographers, flags and candles. 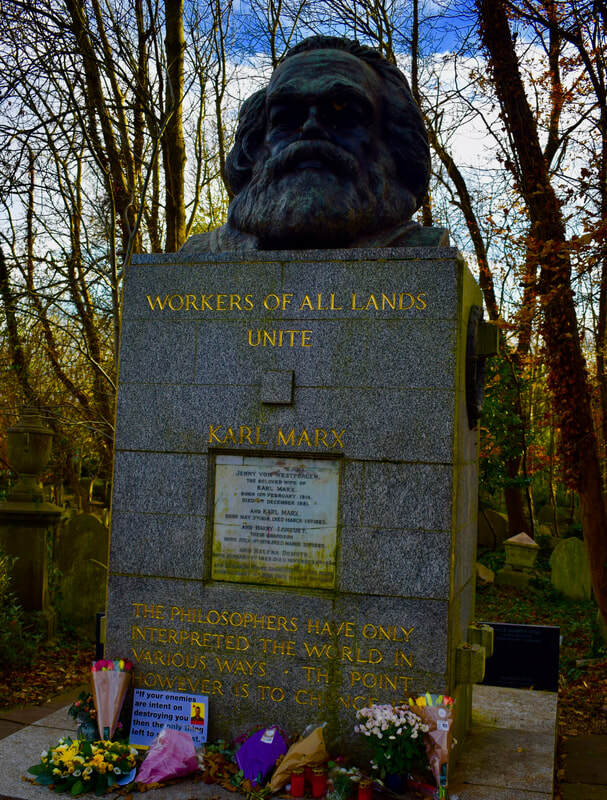 ​" Highgate Cemetery has some of the finest funerary architecture in the country. It is a place of peace and contemplation where a romantic profusion of trees, memorials and wildlife flourish"
Highgate Cemetery is a place of burial in north London, England. It is divided into two parts, named the East and West cemetery. 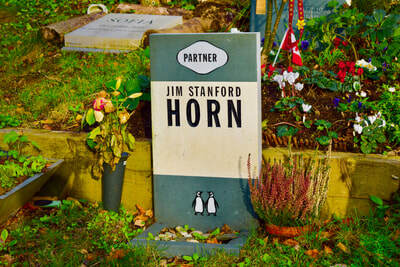 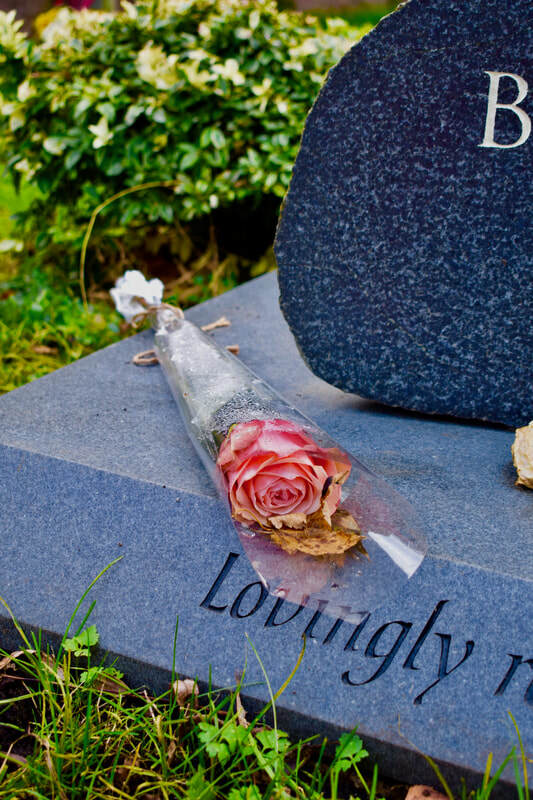 There are approximately 170,000 people buried in around 53,000 graves at Highgate Cemetery. 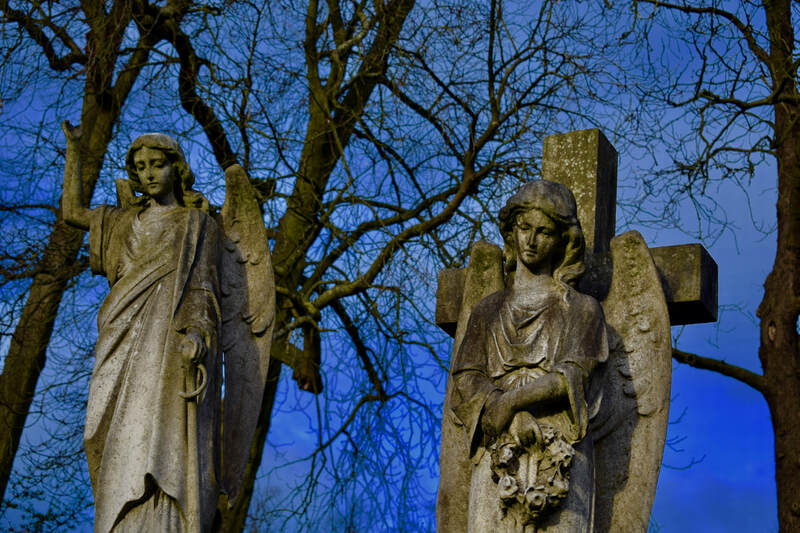 The cemetery opened in 1839, as part of a plan to provide seven large, modern cemeteries, now known as the "Magnificent Seven", around the outside of central London. 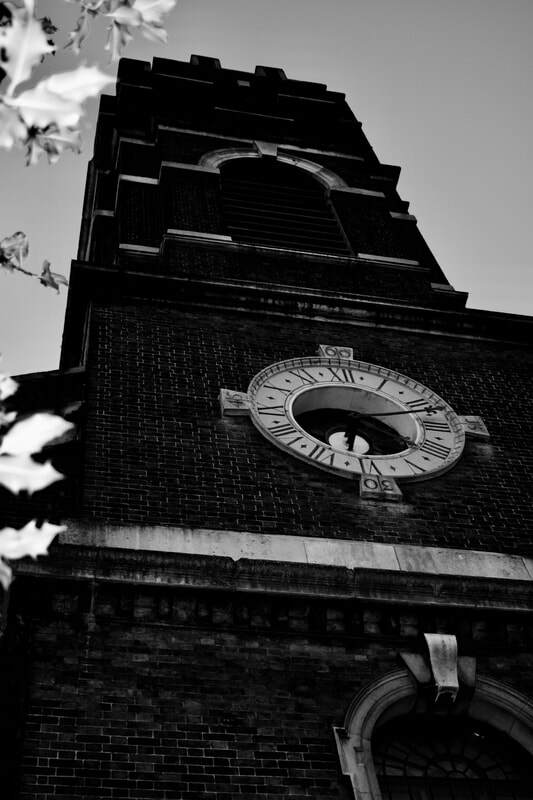 The initial design was by architect and entrepreneur Stephen Geary. 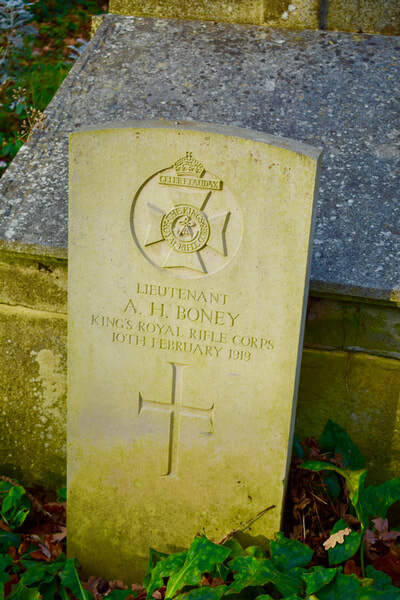 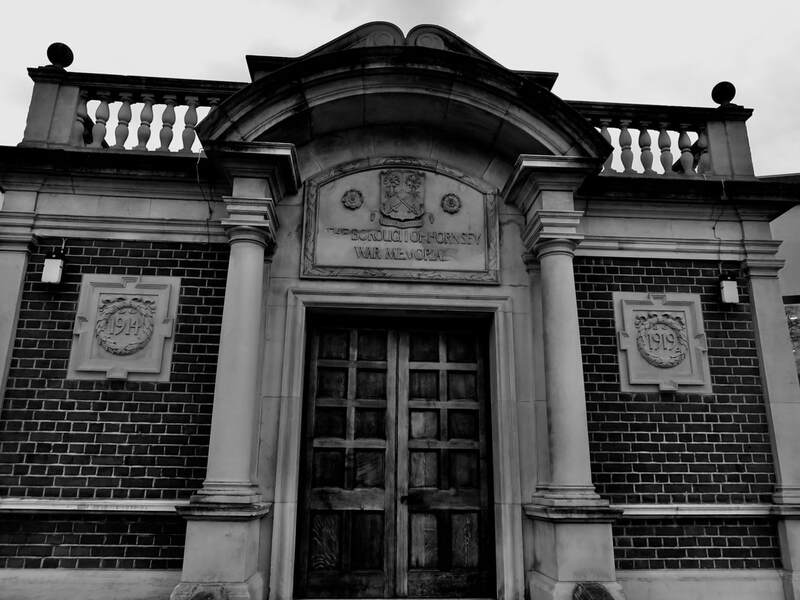 The cemetery contains the graves of 316 Commonwealth service personnel maintained and registered by the Commonwealth War Graves Commission, in both the East and West Cemeteries, 257 from the First World War and 59 from the Second. 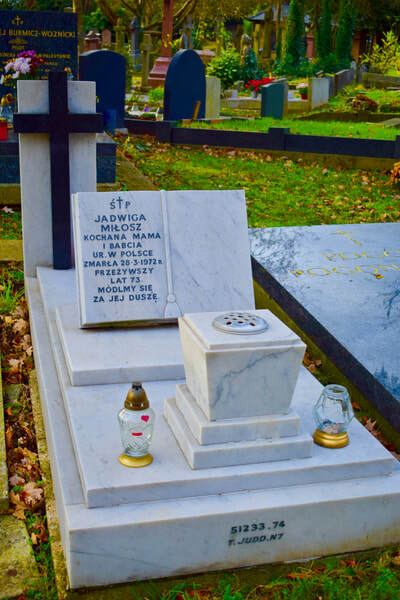 Those whose graves could not be marked by headstones are listed on a Screen Wall memorial. Hampstead Cemetery is situated on Fortune Green Road and is bordered on the northern side by the sports ground of University College School. 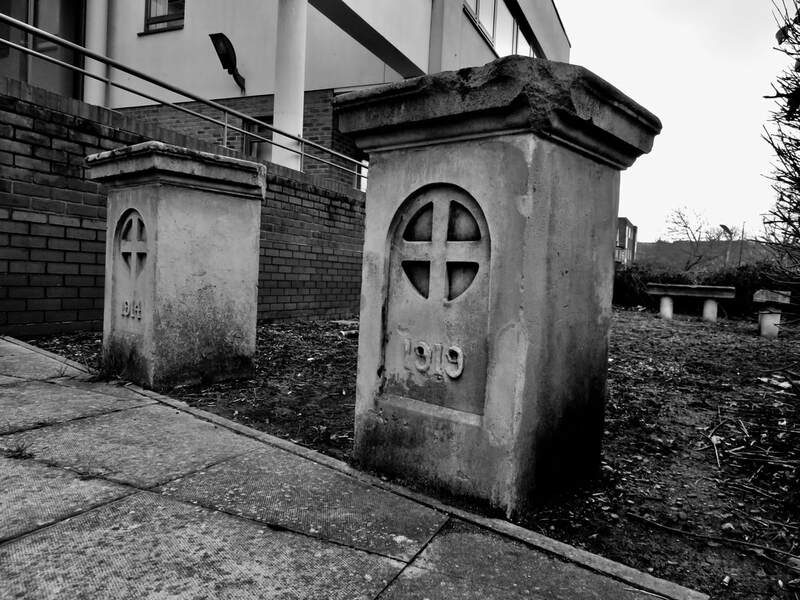 A public footpath running from Hocroft Road to Fortune Green runs through the cemetery, splitting it in two. 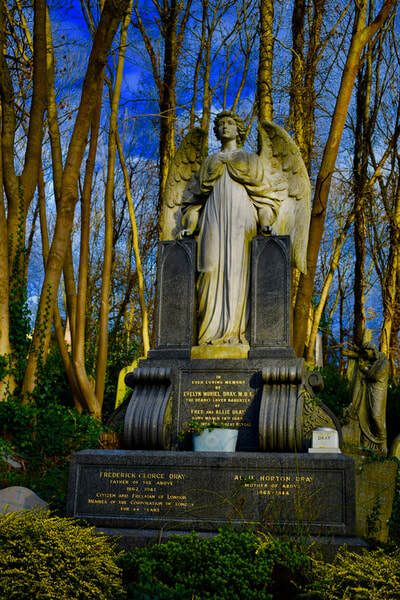 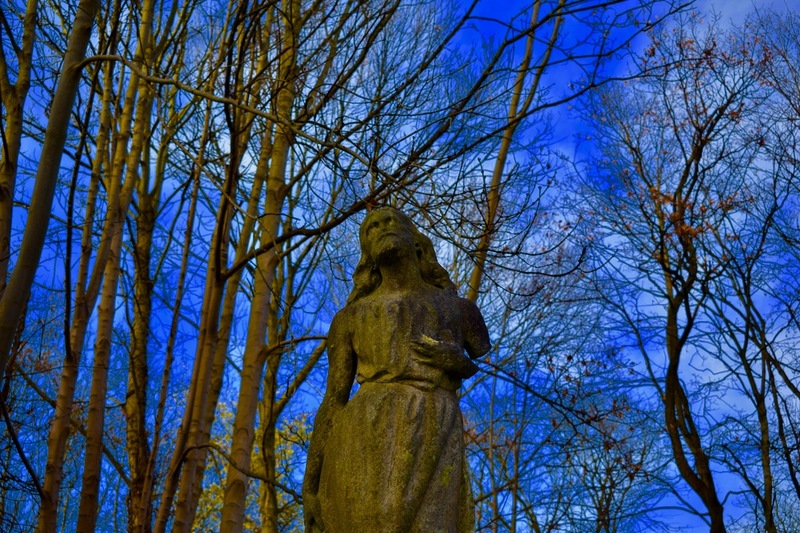 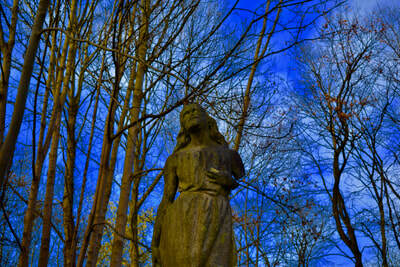 Hampstead Cemetery was consecrated by the Bishop of London and opened in November 1876. 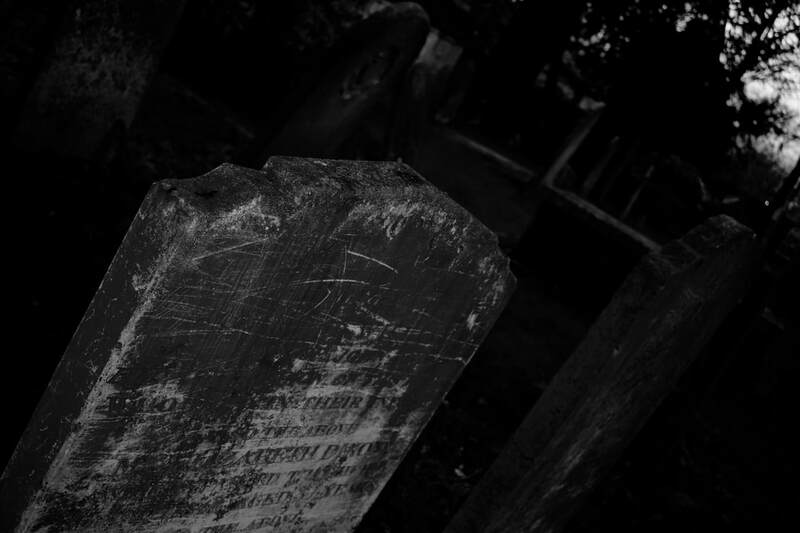 The entire site covers 26 acres, and an estimated 60,000 people are buried there. While there are no new grave spaces available, there is an area for cremated remains to the north of the cemetery, by the Fortune Green Road exit. 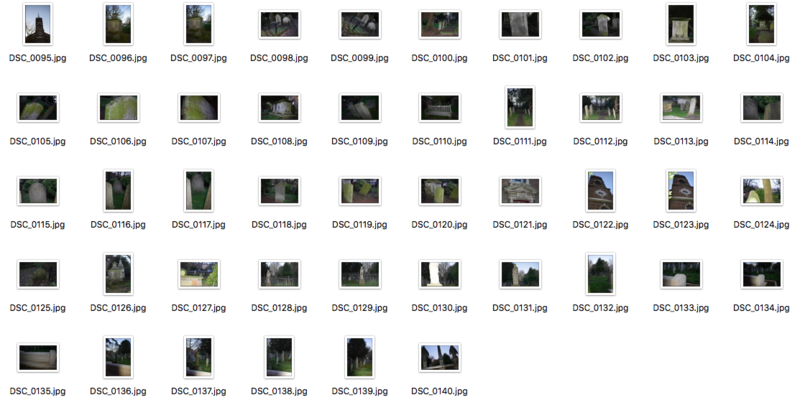 The cemetery has a pair of Gothic style mortuary chapels, both of which are Grade II listed buildings. The southern chapel was originally Anglican. Currently, only the southern chapel is in use as an inter-faith place of worship. 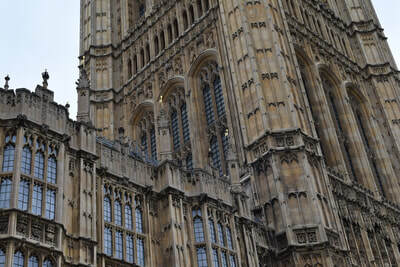 There is also an entry lodge made of Kentish Rag and Bath stone. 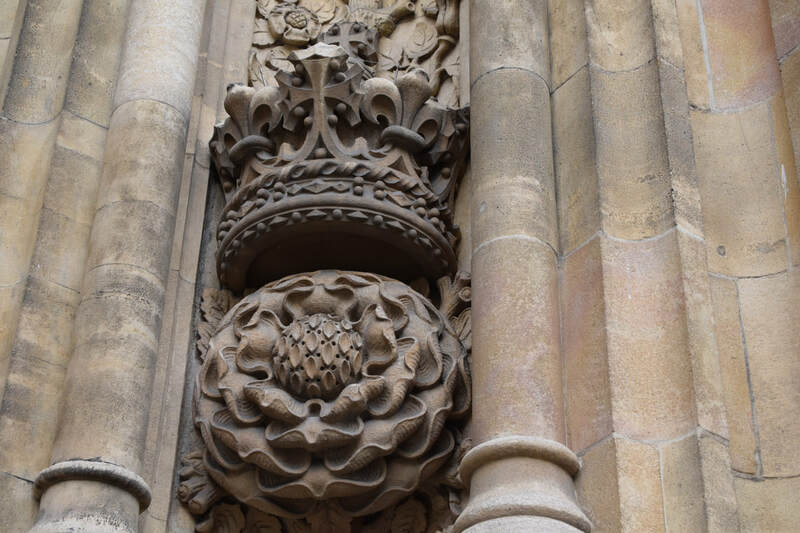 The Heritage Lottery Fund has funded restoration work on the buildings. 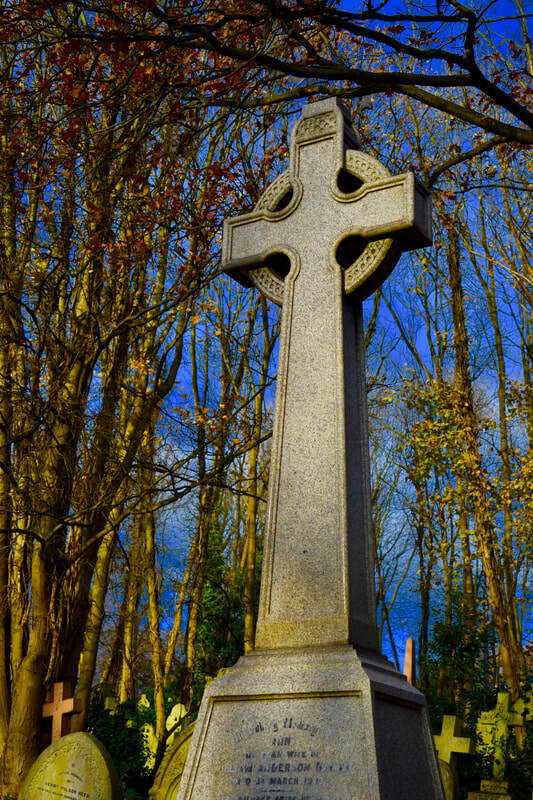 A large number of Celtic crosses can be found in the area to the southwest of the chapel, marking the presence of several Scottish families. The northeastern corner has some notable examples of modern and Art Deco stonemasonry, in particular the Bianchi monument and the sculpted church organ in memory of Charles Barritt. 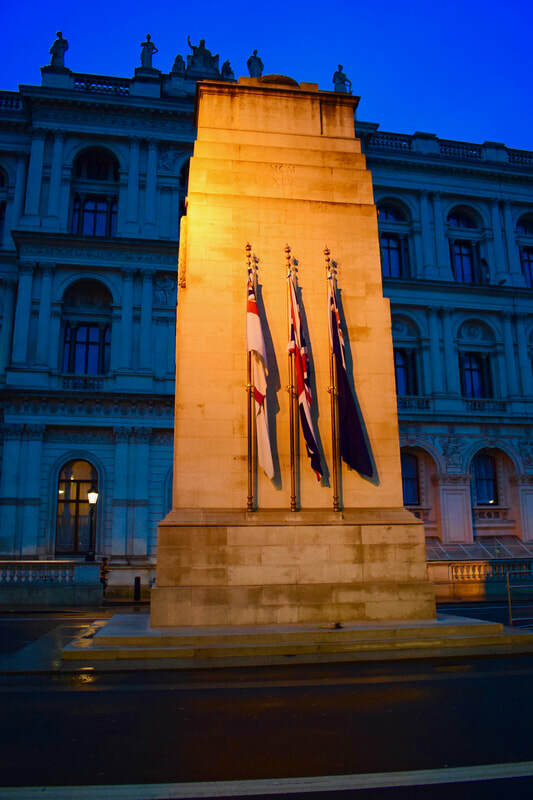 The Cenotaph in Whitehall, London has hosted the Remembrance Service for the past nine decades. 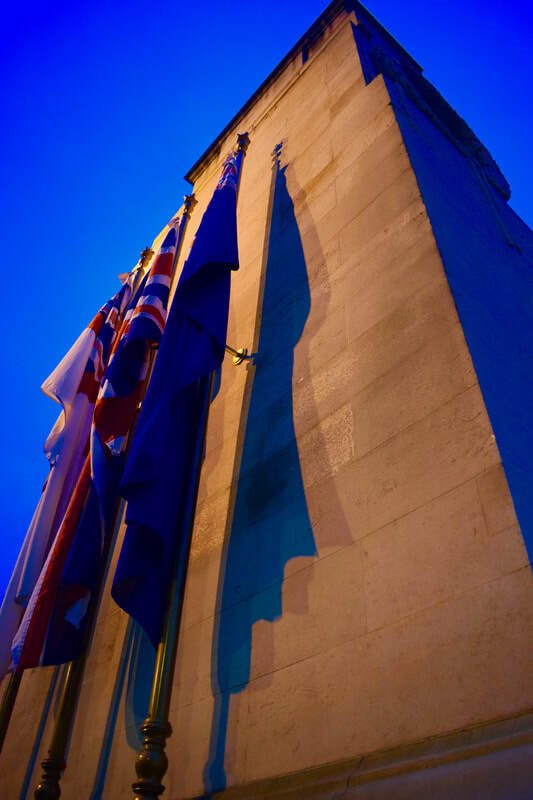 Originally intended as a small part of the Peace Day events of July 1919, The Cenotaph was designed and built by Edwin Lutyens at the request of the then Prime Minister Lloyd George. The Cenotaph - which means Empty Tomb in Greek - was initially a wood and plaster construction intended for the first anniversary of the Armistice in 1919. At its unveiling the base of the monument was spontaneously covered in wreaths to the dead and missing from The Great War. 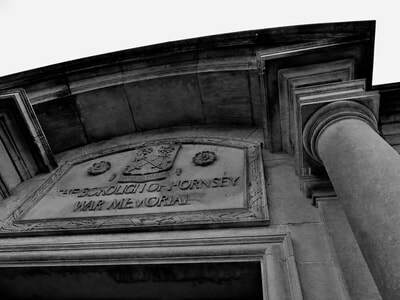 The extent of public enthusiasm for the construction is the reason that The Cenotaph became a permanent and lasting memorial. 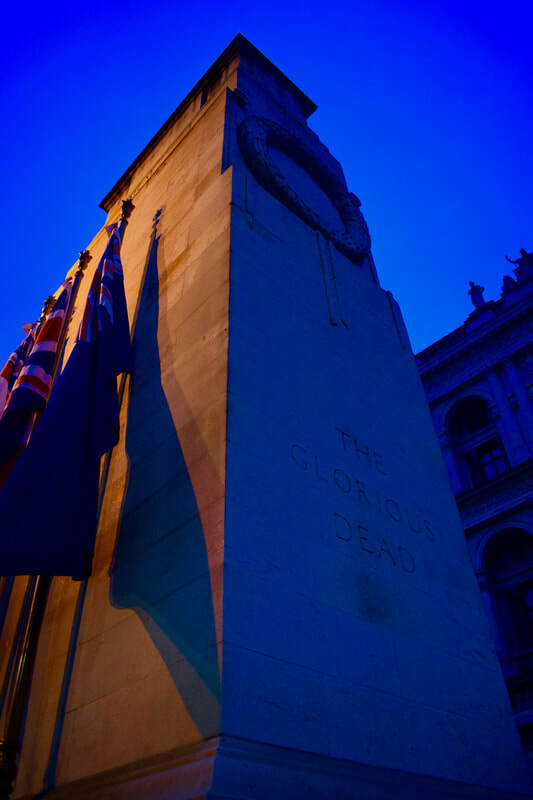 The Cenotaph, made from Portland stone, was unveiled in 1920. 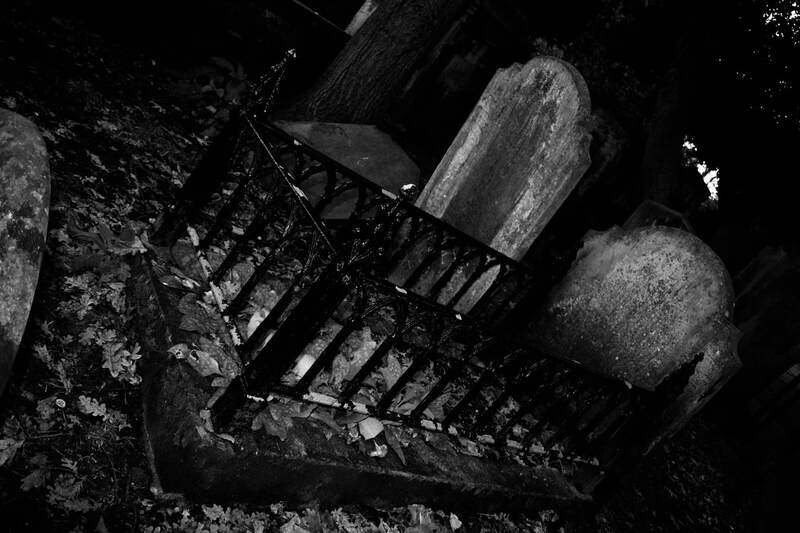 The inscription reads "The Glorious Dead". 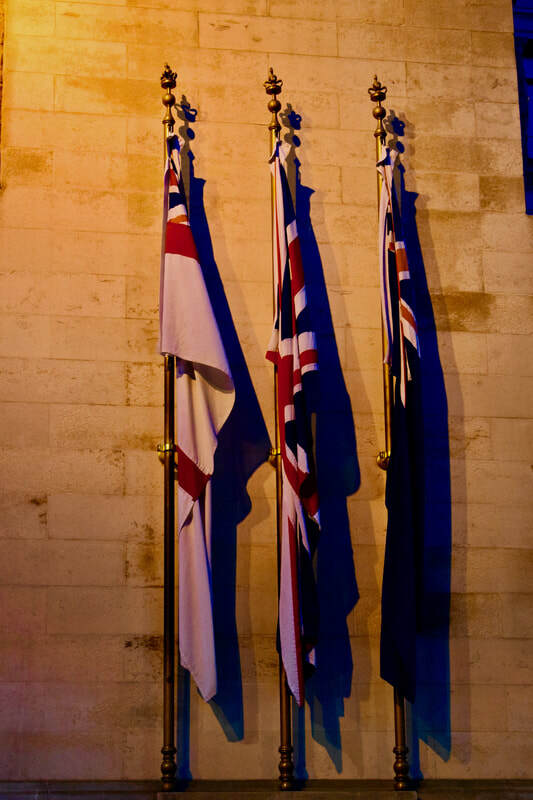 On the Sunday nearest to 11 November at 11am each year, a Remembrance Service is held at the Cenotaph to commemorate British and Commonwealth servicemen and women who died in the two World Wars and later conflicts. 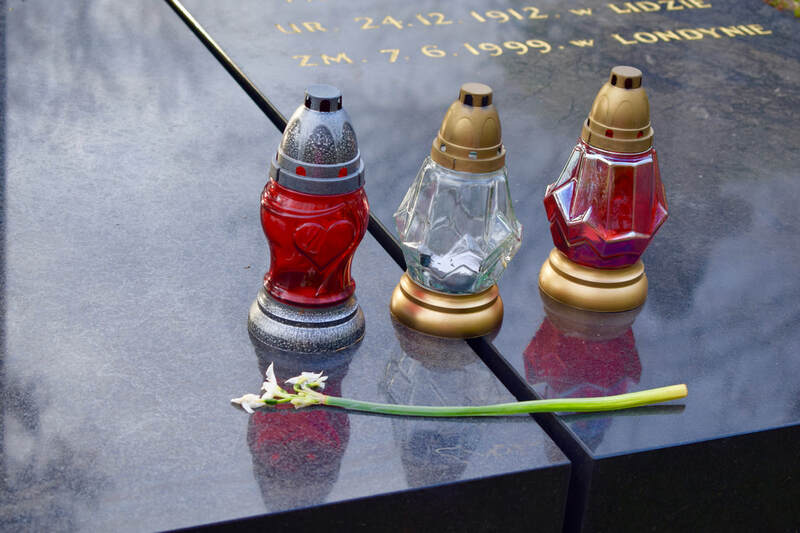 The monarch, religious leaders, politicians, representatives of state and the armed and auxiliary forces, come together to pay respect to those who gave their lives defending others.The service has changed little since it was first introduced in 1921. 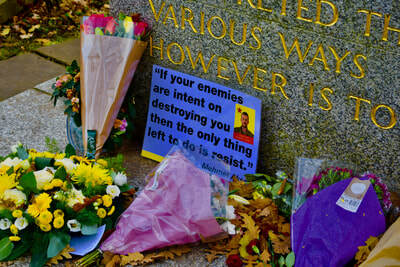 There are hymns, prayers and a two minute silence. 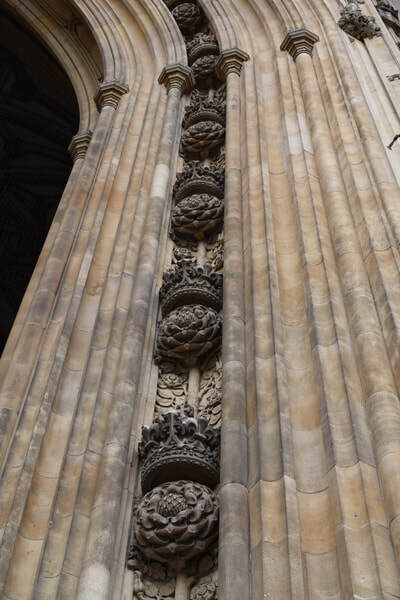 Official wreaths are laid on the steps of The Cenotaph. 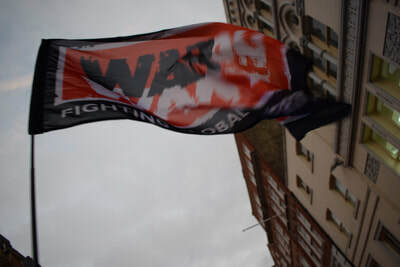 The ceremony ends with a march past of war veterans; a poignant gesture of respect for their fallen comrades. Services of Remembrance are held at war memorials and cenotaphs throughout Britain and the Commonwealth nations. 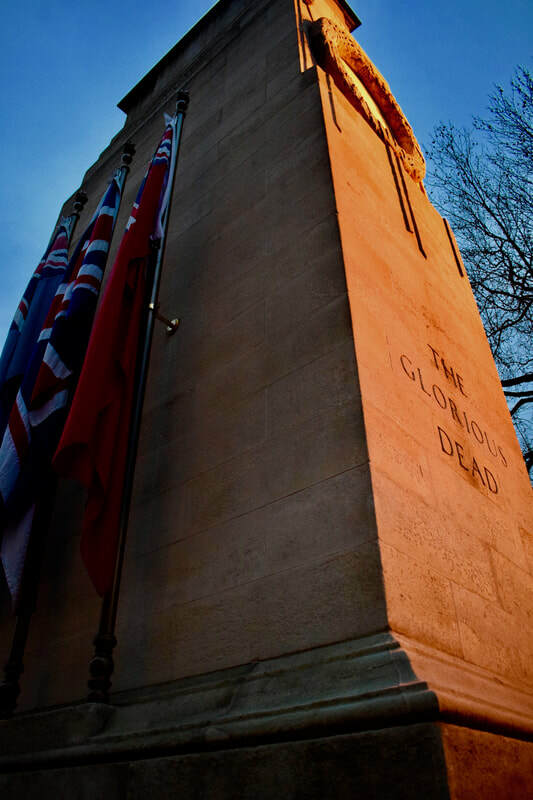 While the style and size of these memorials vary considerably from place to place, an exact replica of Lutyens' Cenotaph stands proudly in London, Canada. Hornsey War Memorial is located in Park Road, Hornsey, in London, in front of the Hornsey Central Hospital, formerly the Hornsey Memorial Hospital. The memorial commemorates the men of the borough who died in the First World War and is in the form of a small red-brick chapel with Portland stone dressings. It was designed by George Lethbridge and dedicated in 1921. 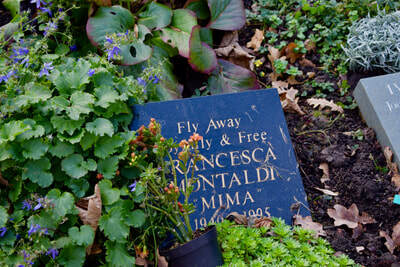 The names of the dead are written on plaques inside the chapel. 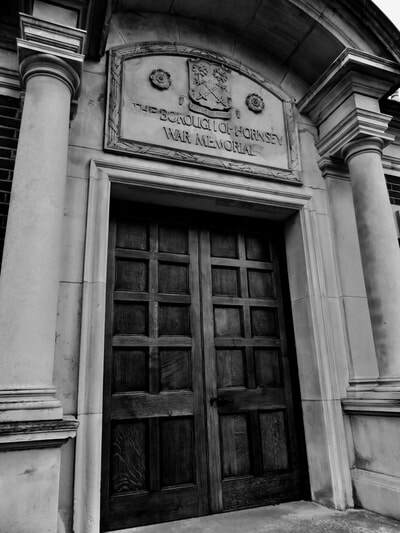 The chapel was renovated in 2007–09 when the old hospital was demolished and a new one built in its place. Across the capital over 900 plaques, on buildings humble and grand, honour the notable men and women who have lived or worked in them. 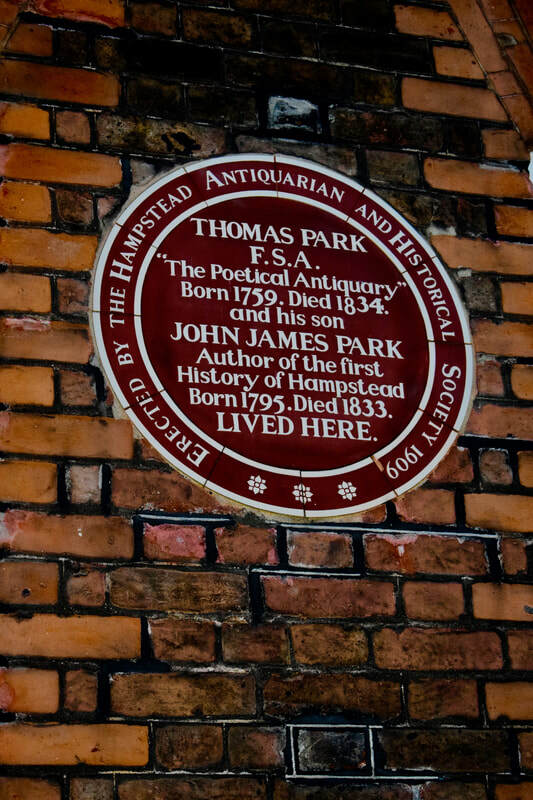 ​English Heritage has run the London blue plaques scheme since 1986, when it had already been in existence for 120 years. 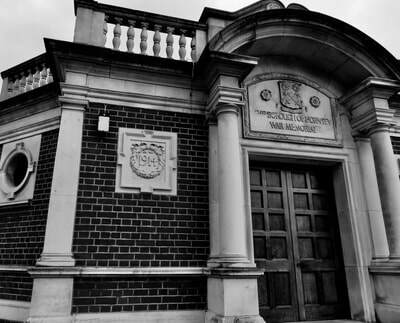 Before that it was run by three bodies in succession – the (Royal) Society of Arts, the London County Council and the Greater London Council. 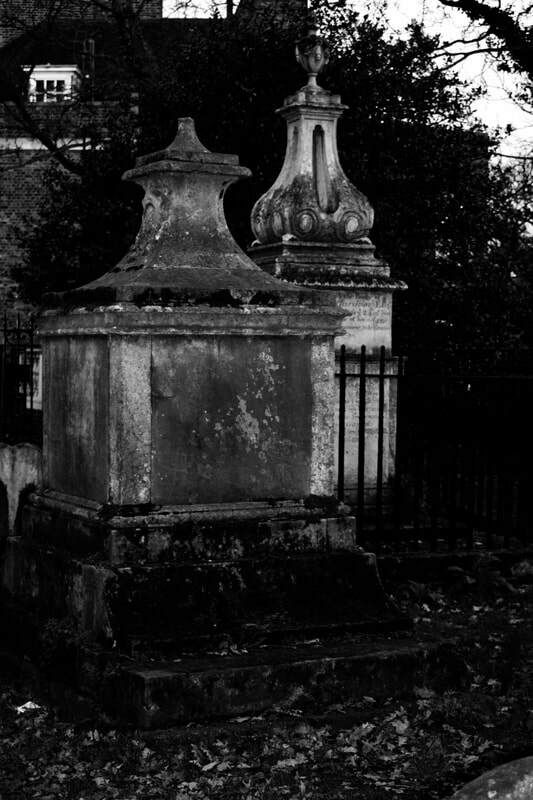 The first blue plaque was awarded to the poet Lord Byron in 1867, but his house in Holles Street, near Cavendish Square, was demolished in 1889. 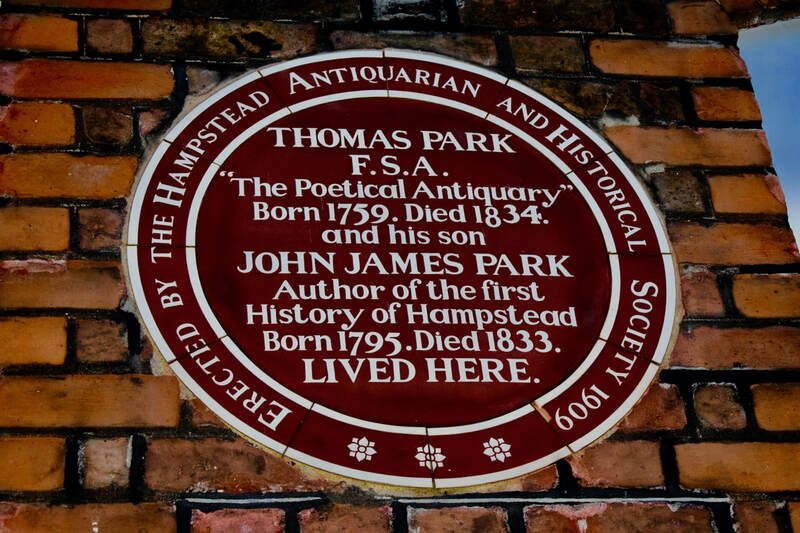 A John Lewis department store occupies the site today, and bears a Westminster City Council plaque to the poet. 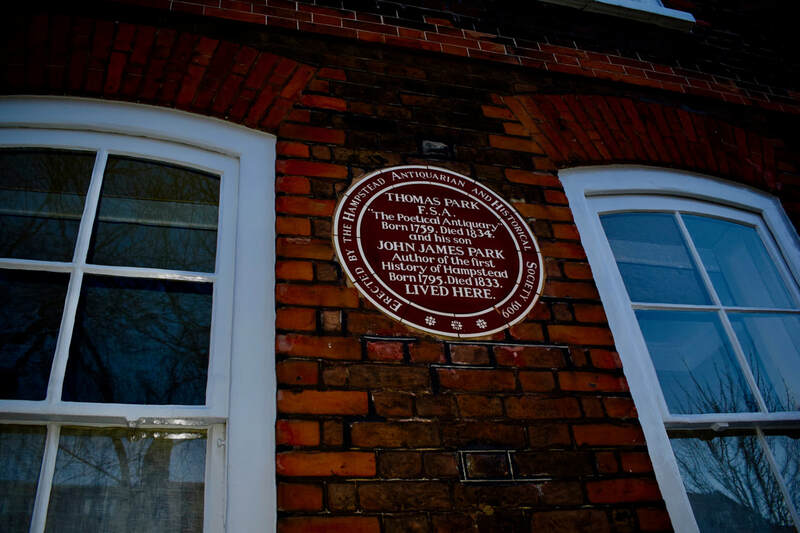 This replaced an earlier, non-standard, plaque in 2012, which in turn succeeded a plaque lost when John Lewis was bombed in the Second World War. 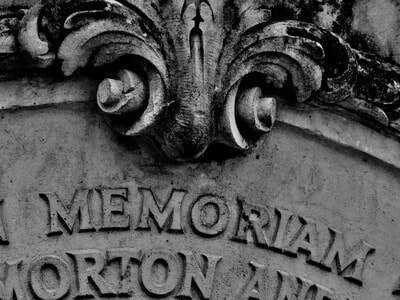 Recent research has revealed that there is no clear evidence to show which house in Holles Street Byron actually lived in – raising the intriguing possibility that none of Byron’s plaques, past and present, has actually marked the correct spot.